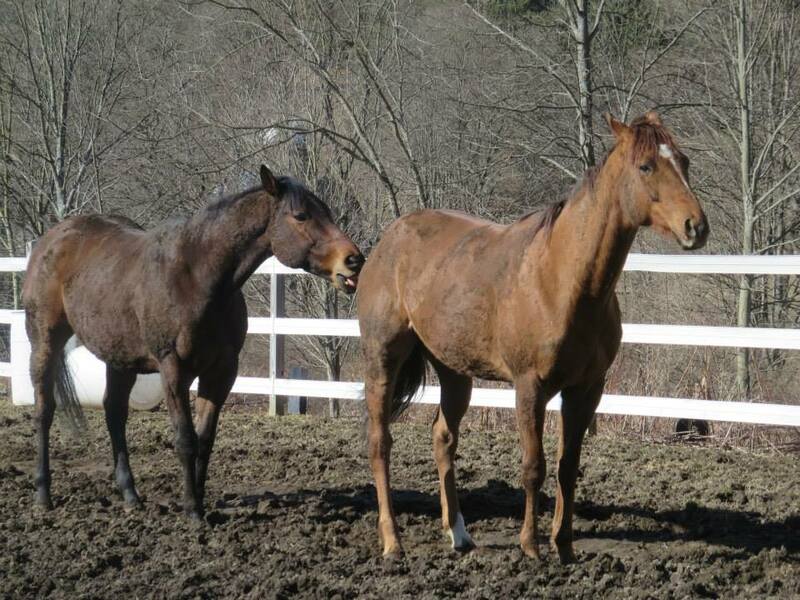 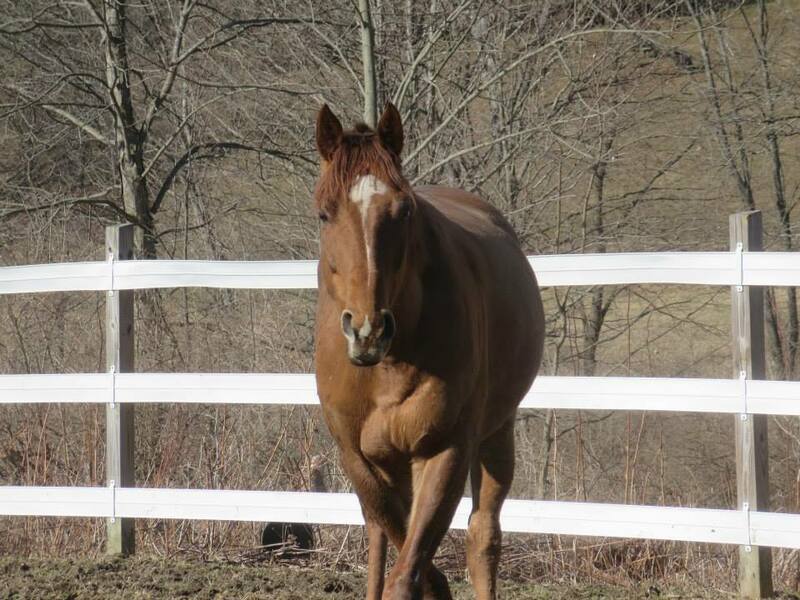 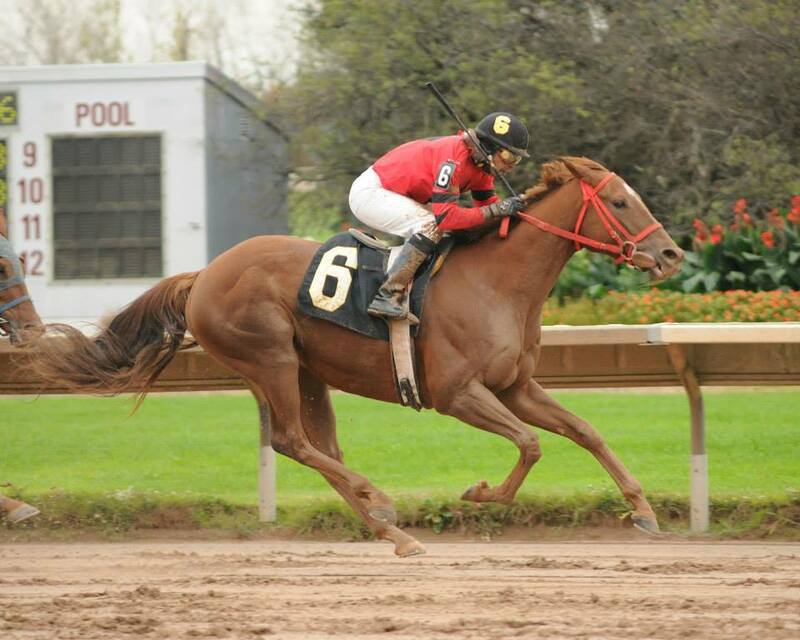 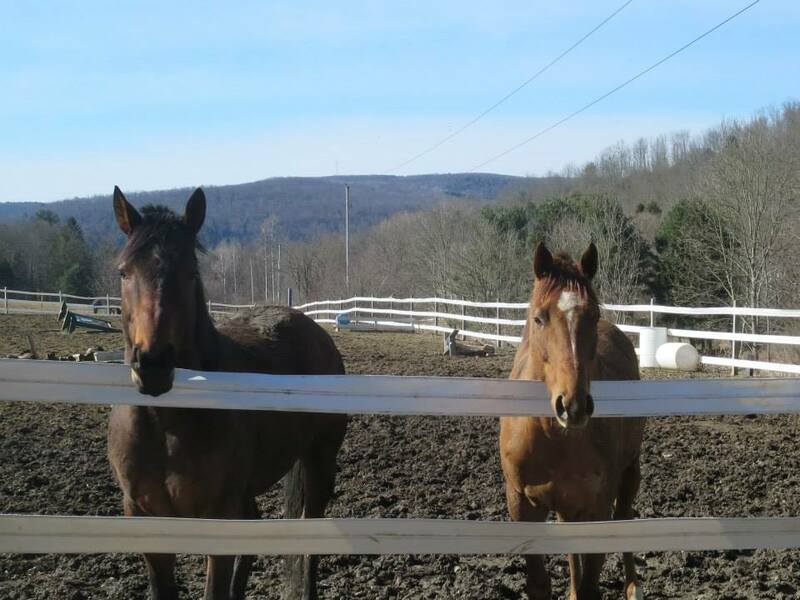 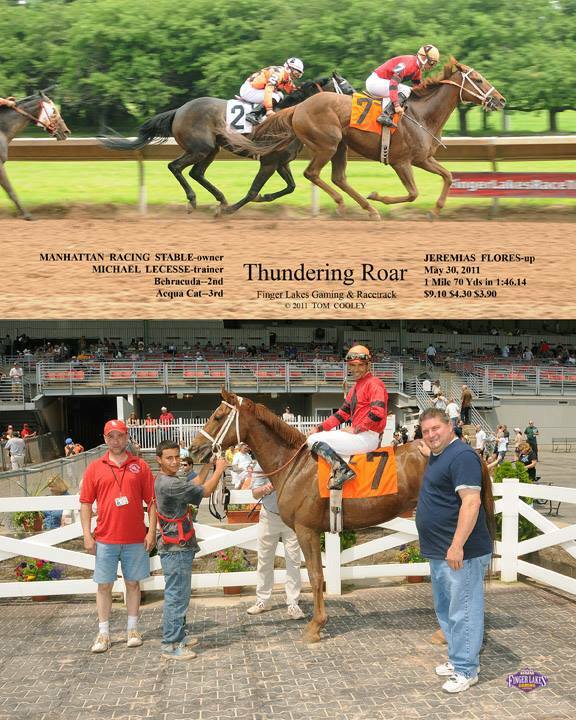 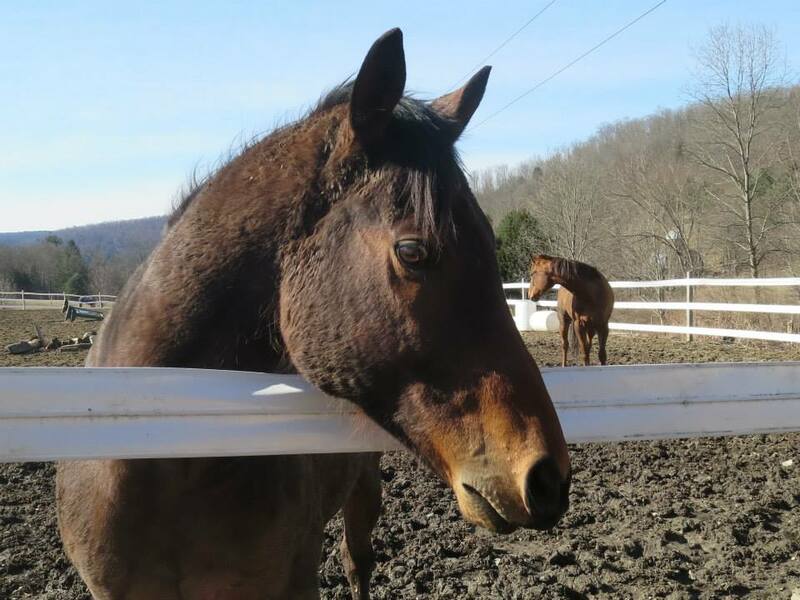 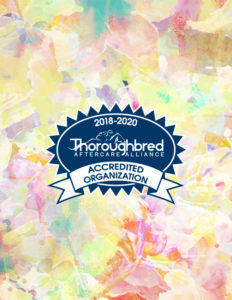 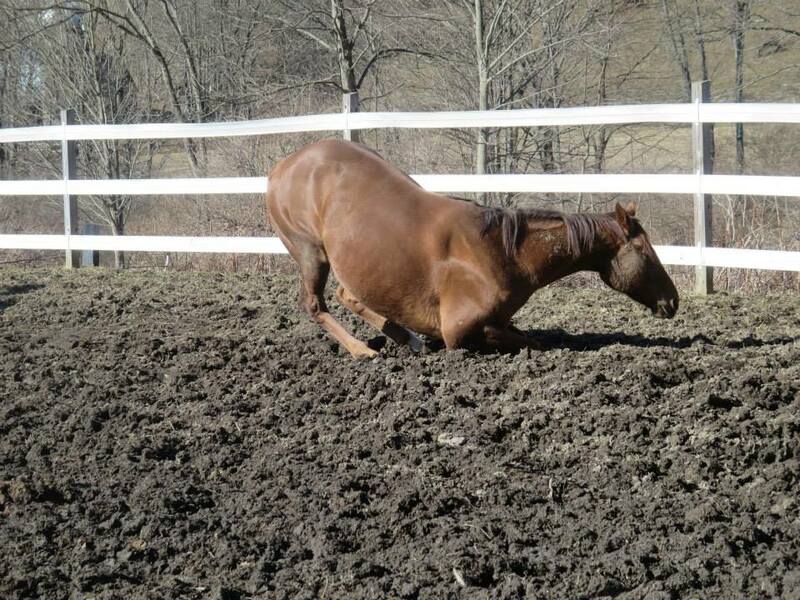 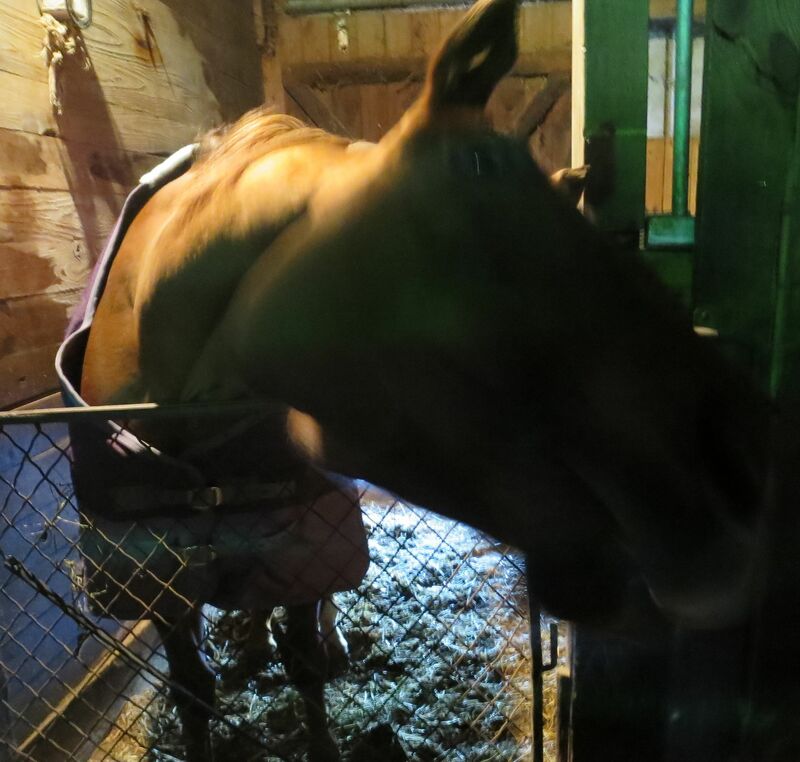 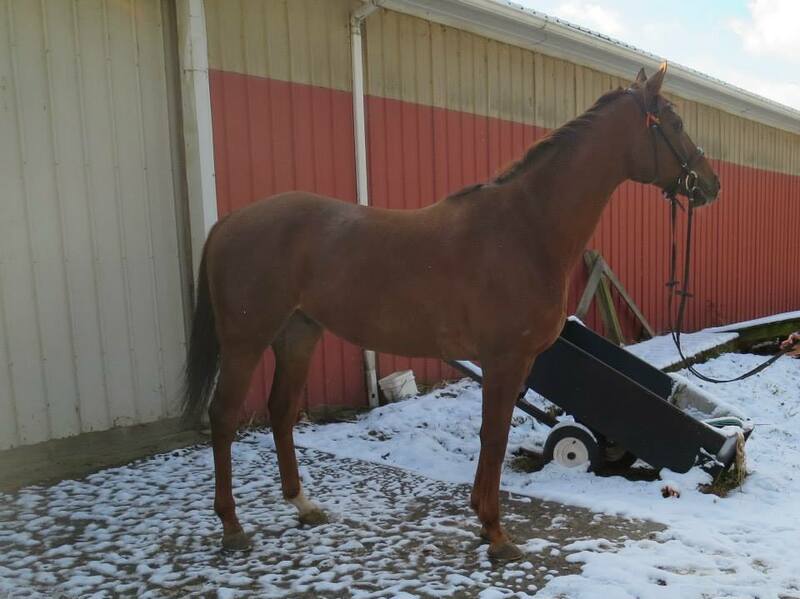 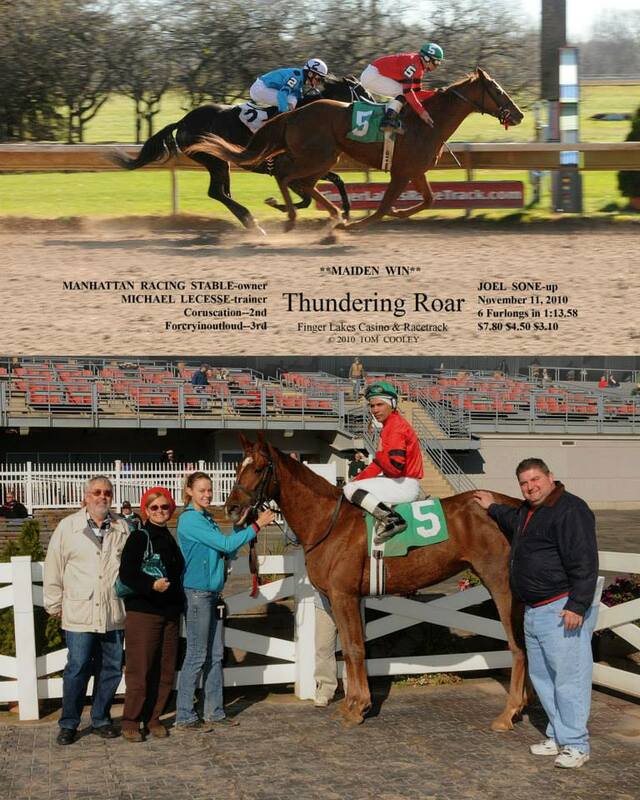 Thundering Roar | Second Chance Thoroughbreds, Inc.
Bio: Leon is a New York bred who retired from Finger Lakes as a war horse on December 5, 2013. 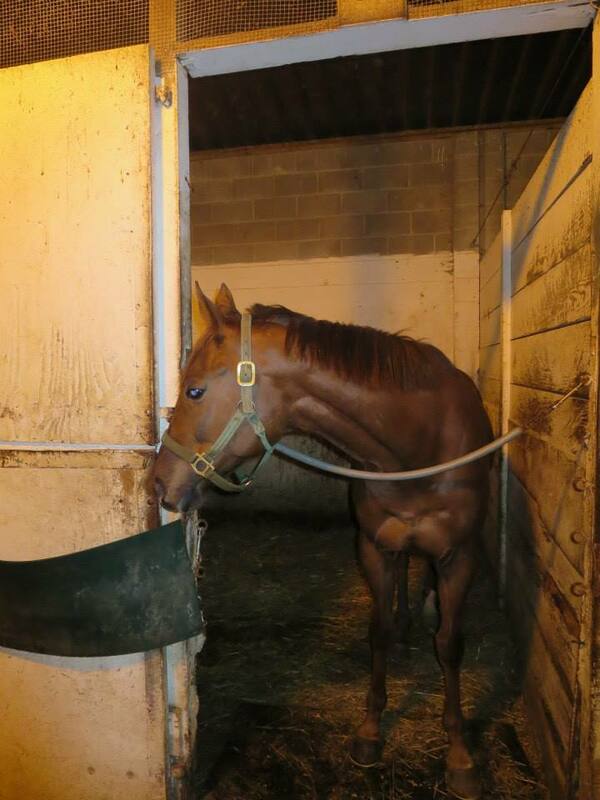 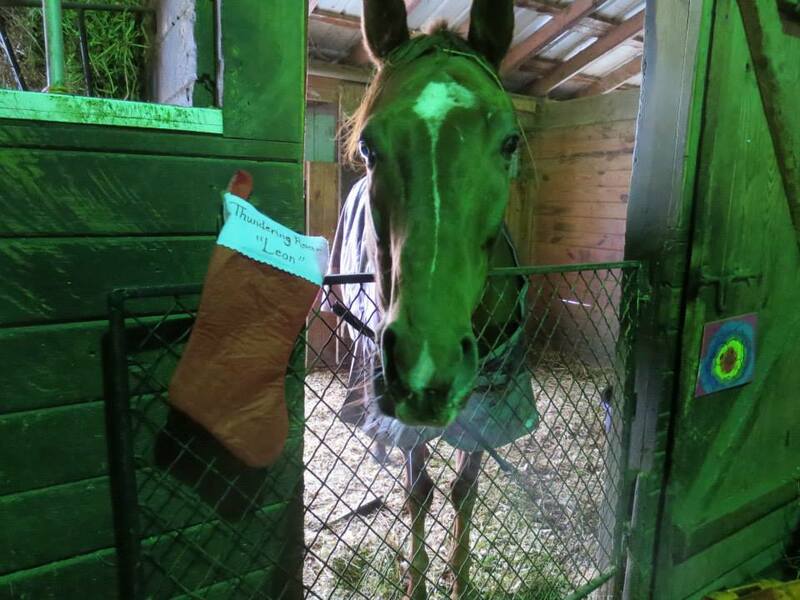 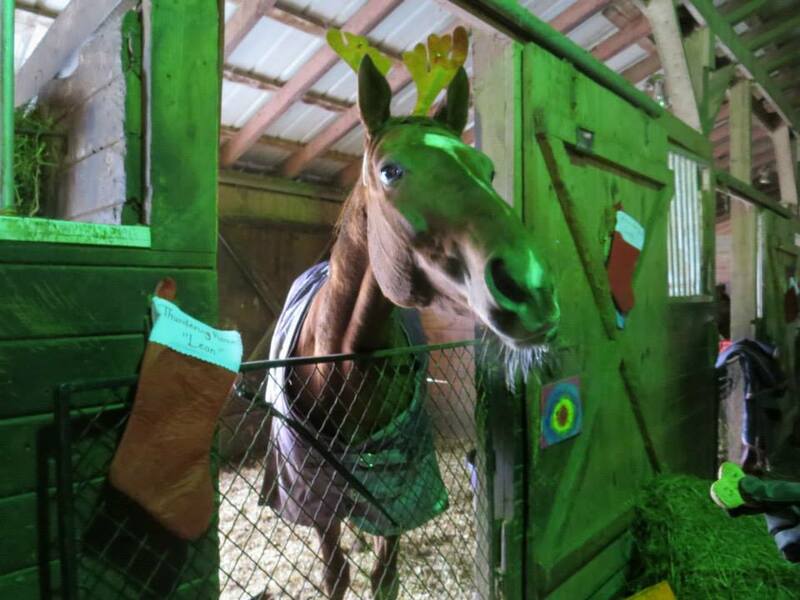 Leon’s trainer said that he had shipped to North Carolina in the beginning of December but was later found elsewhere on the track during an investigation into a missing mare. 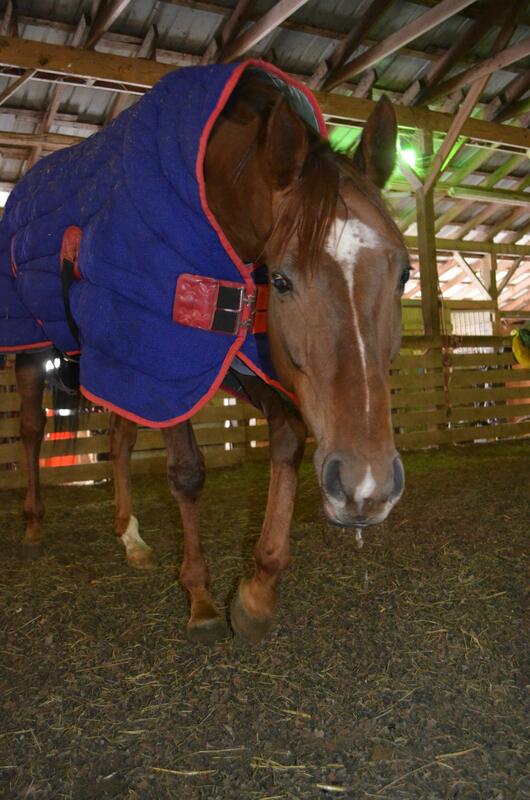 He was secured for the night and picked up the next day to head to our facility. 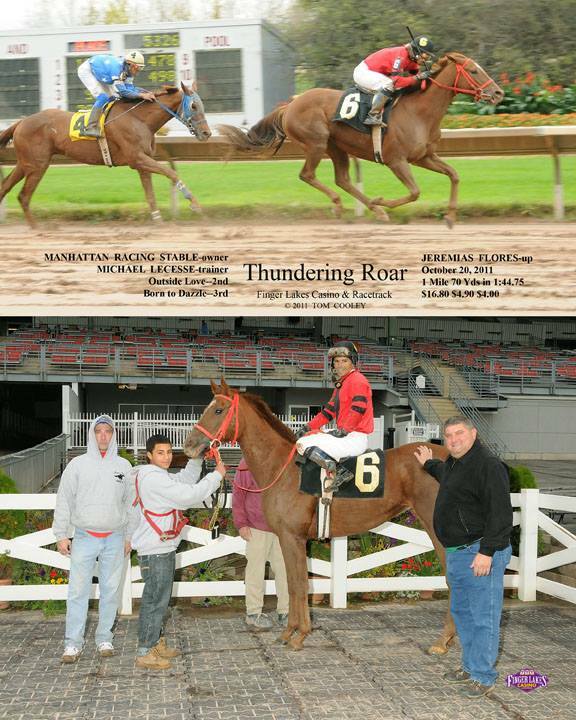 Leon started racing as a two year old and ran 62 times, with 6 firsts, 6 seconds and 13 thirds, earning $95,030 during his racing career. 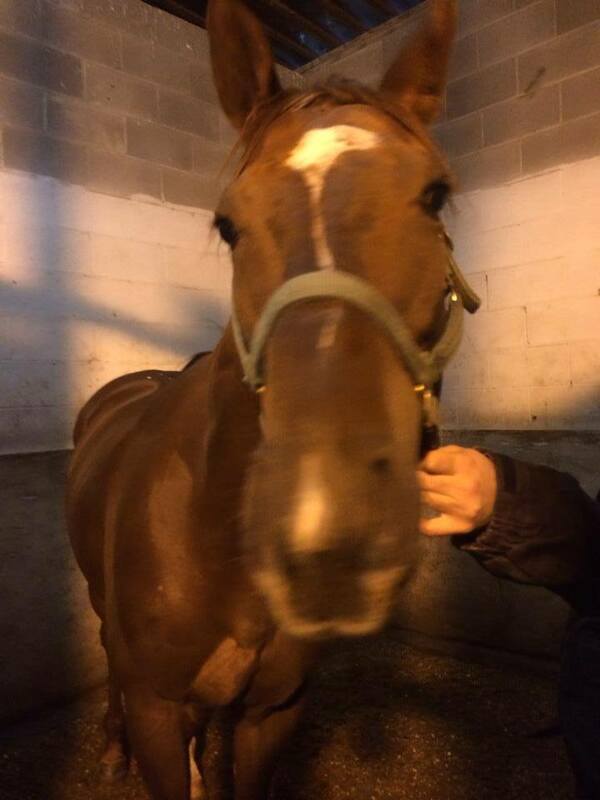 He is Breeders’ Cup Nominated and has one half sibling and four full siblings. 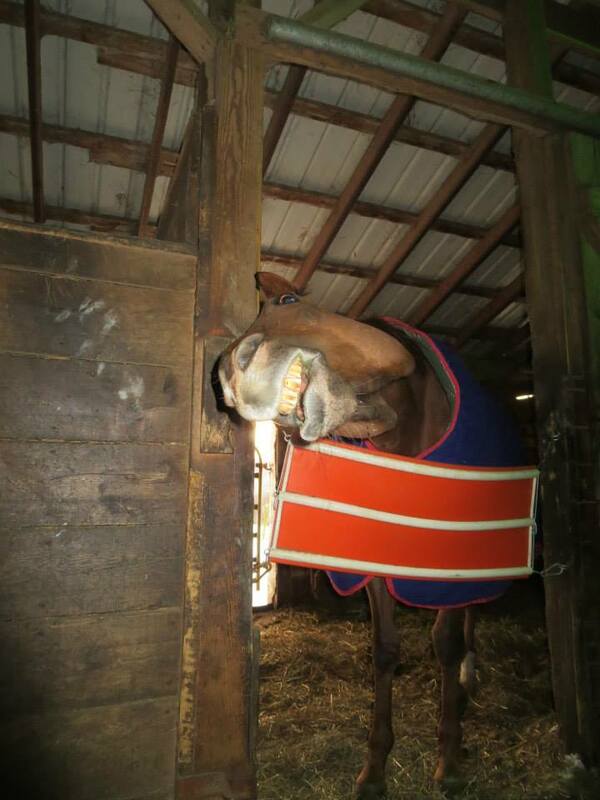 Upon arrival, Leon had his racing plates removed and had a trim. 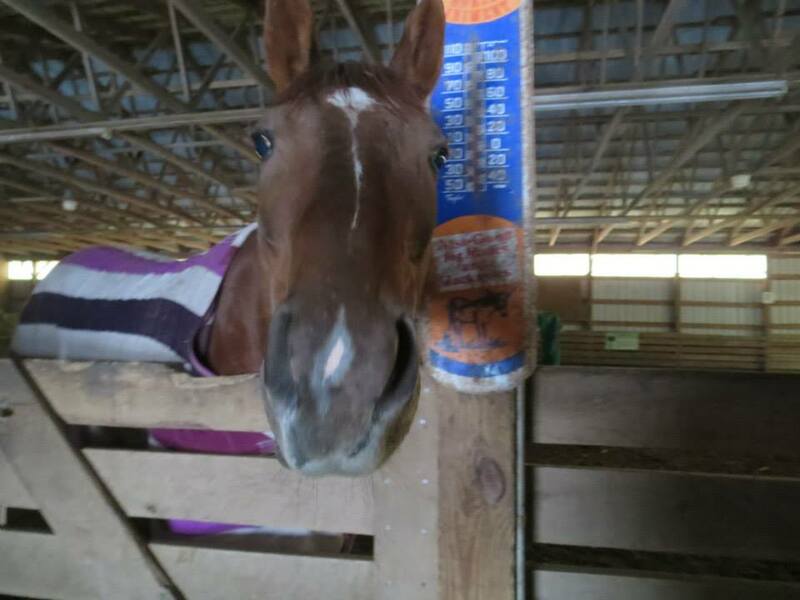 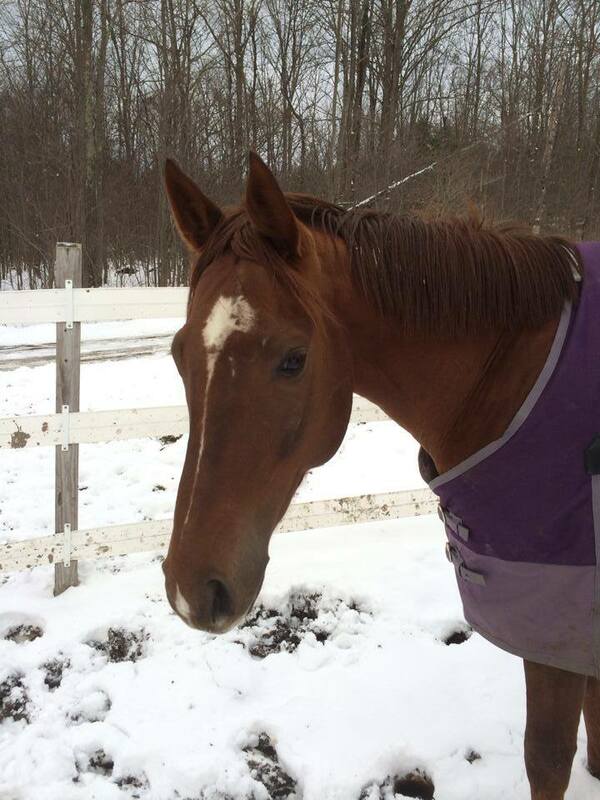 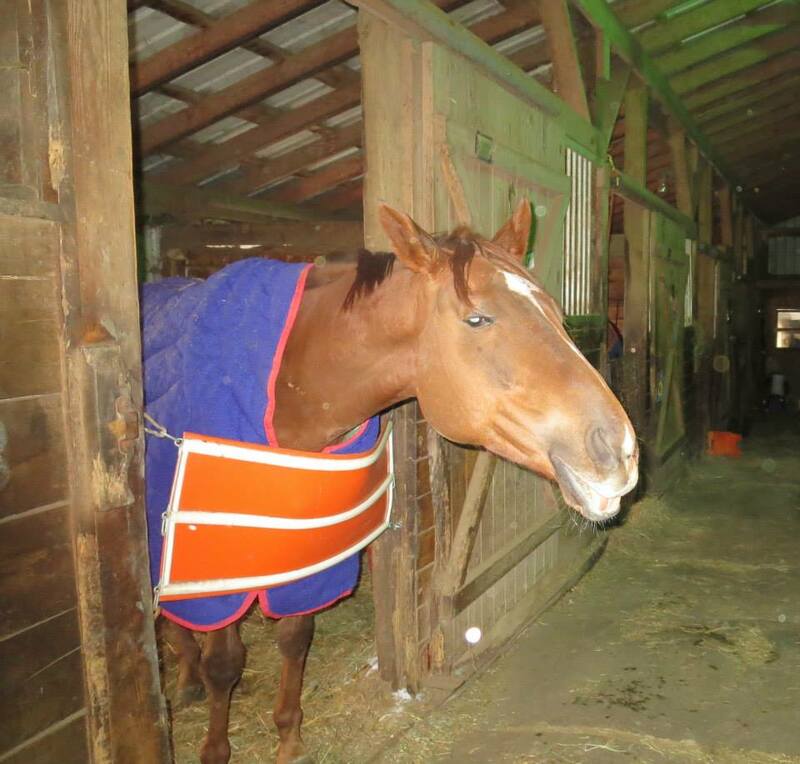 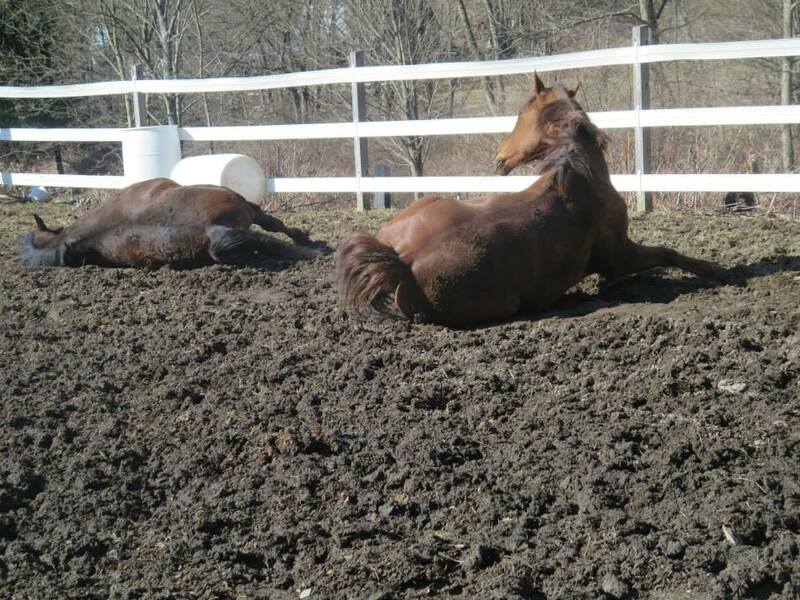 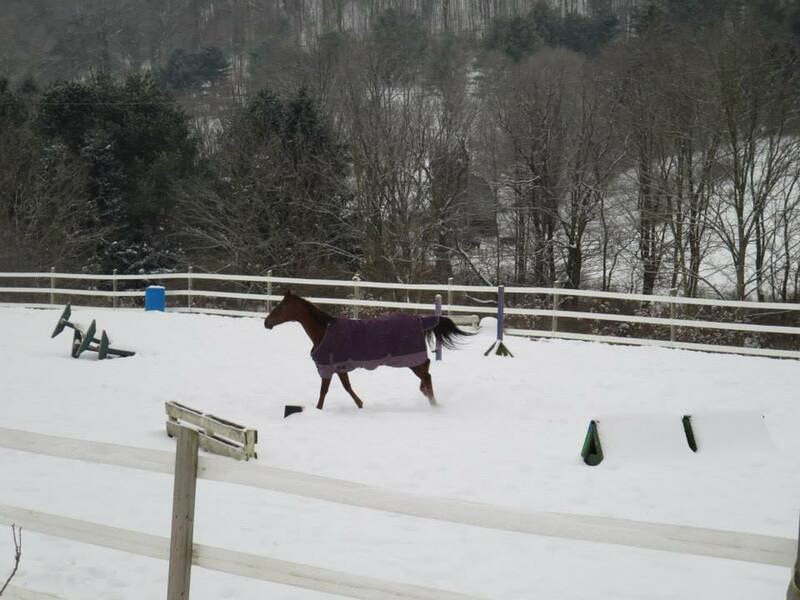 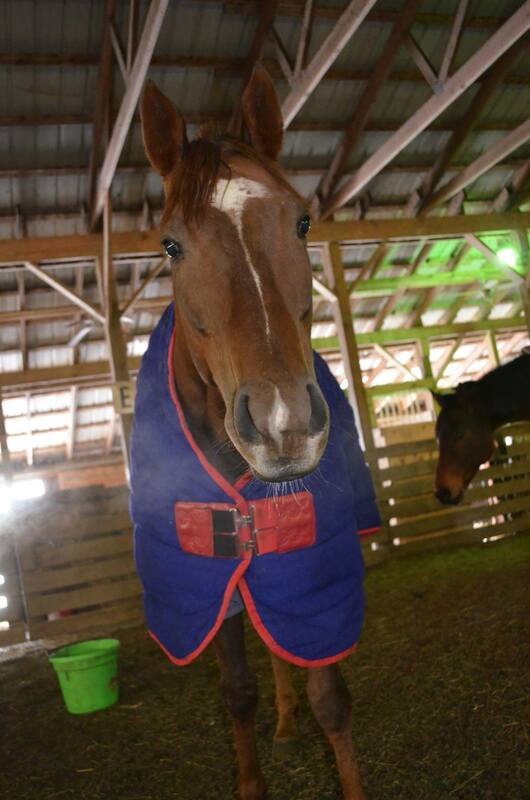 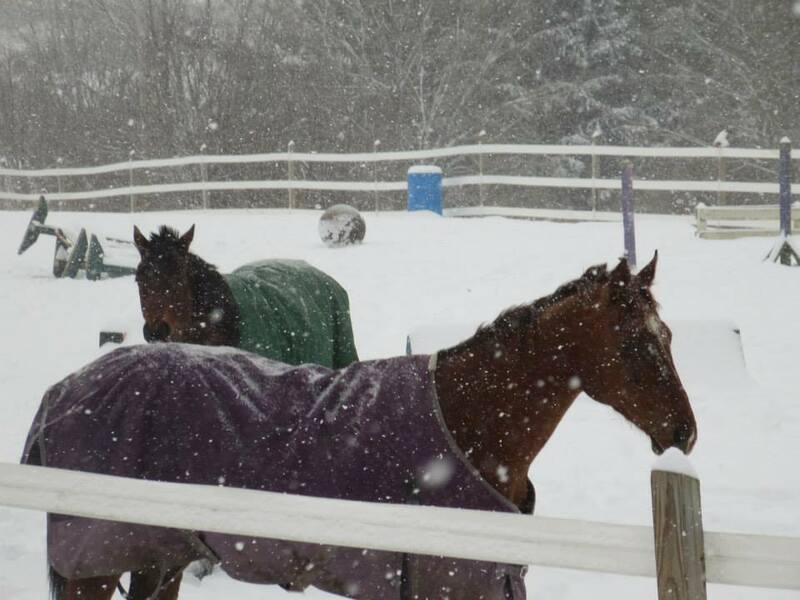 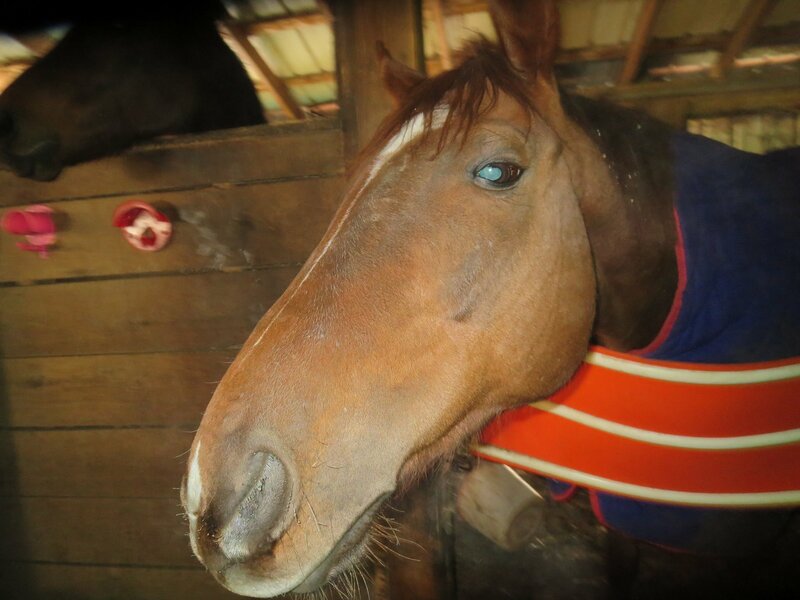 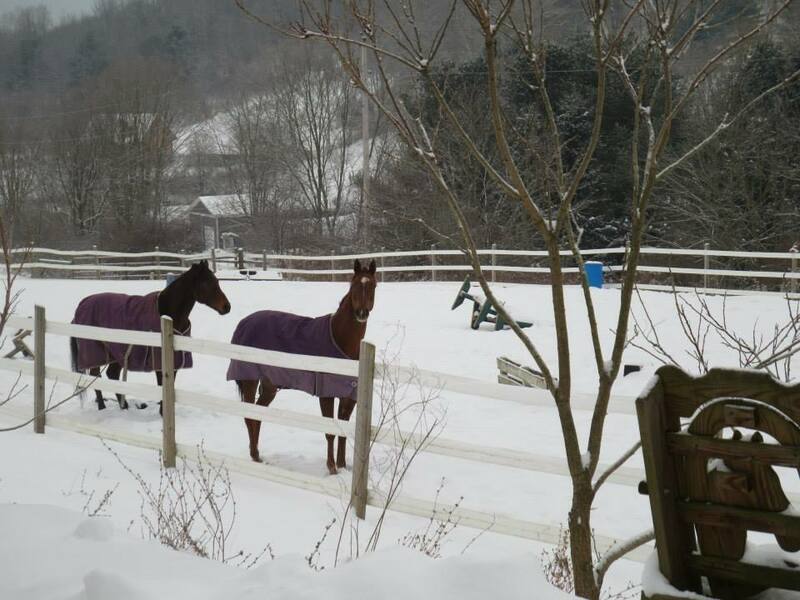 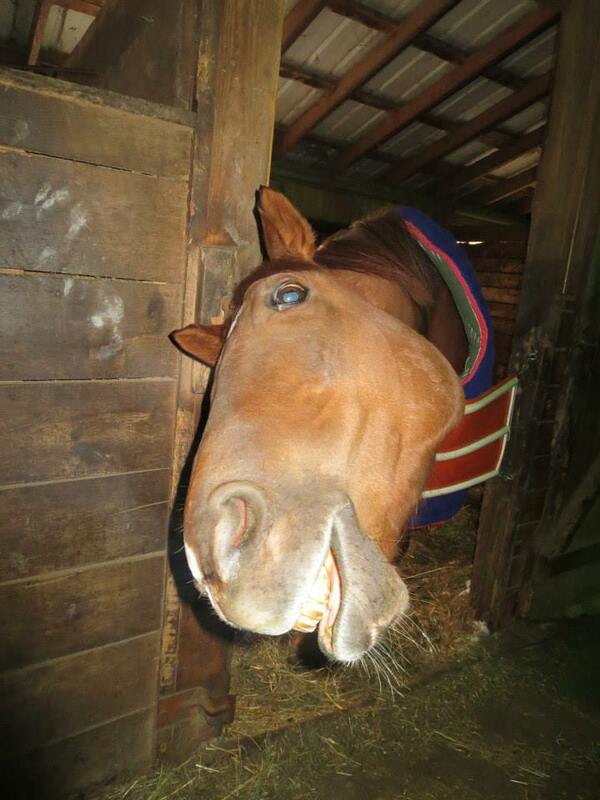 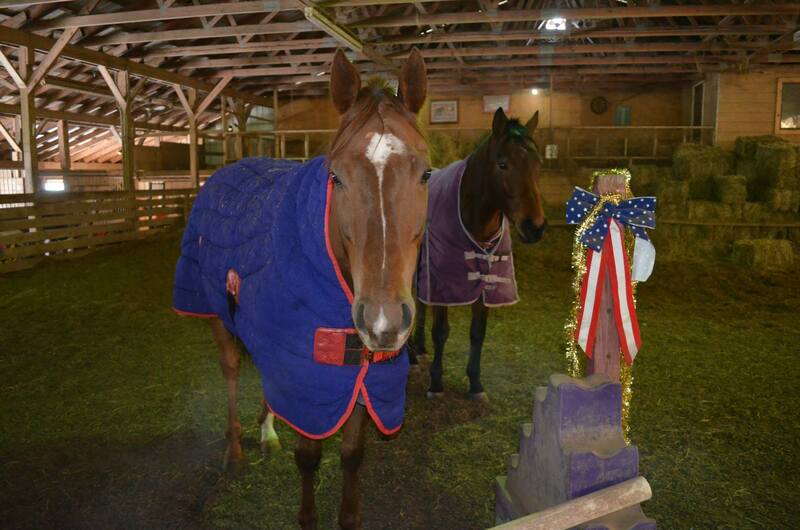 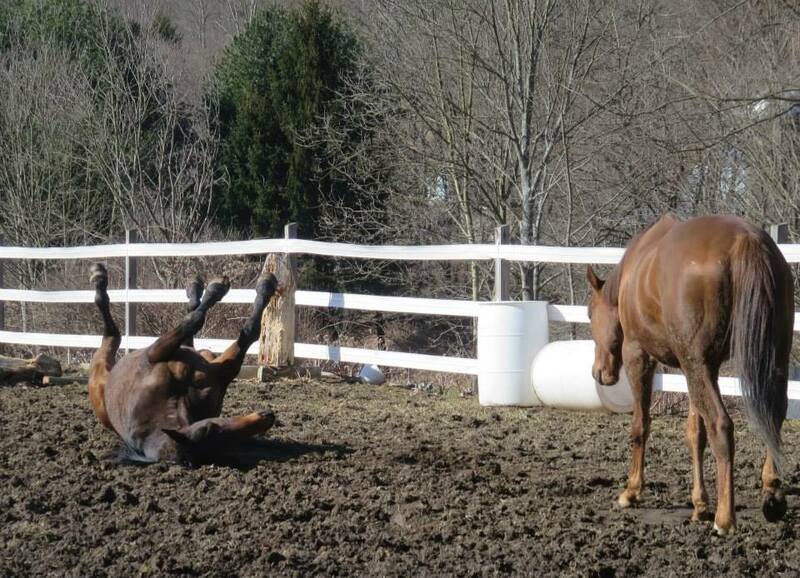 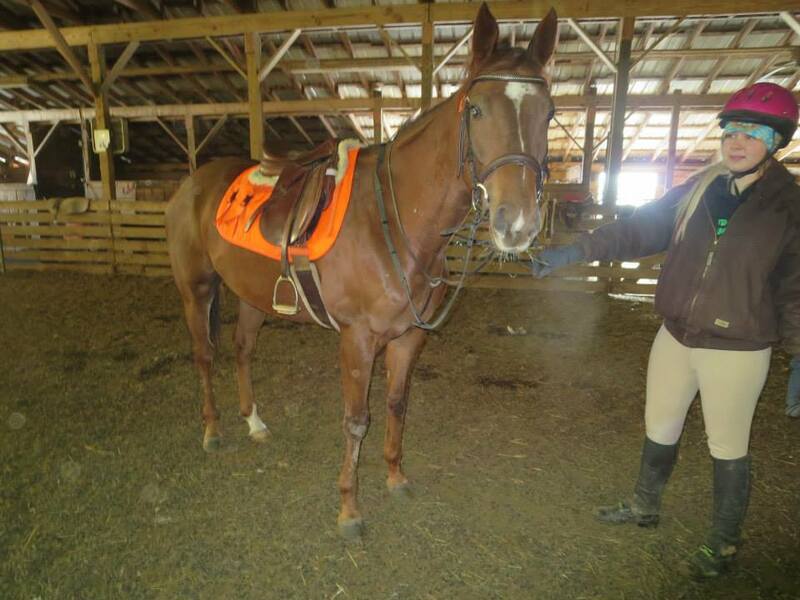 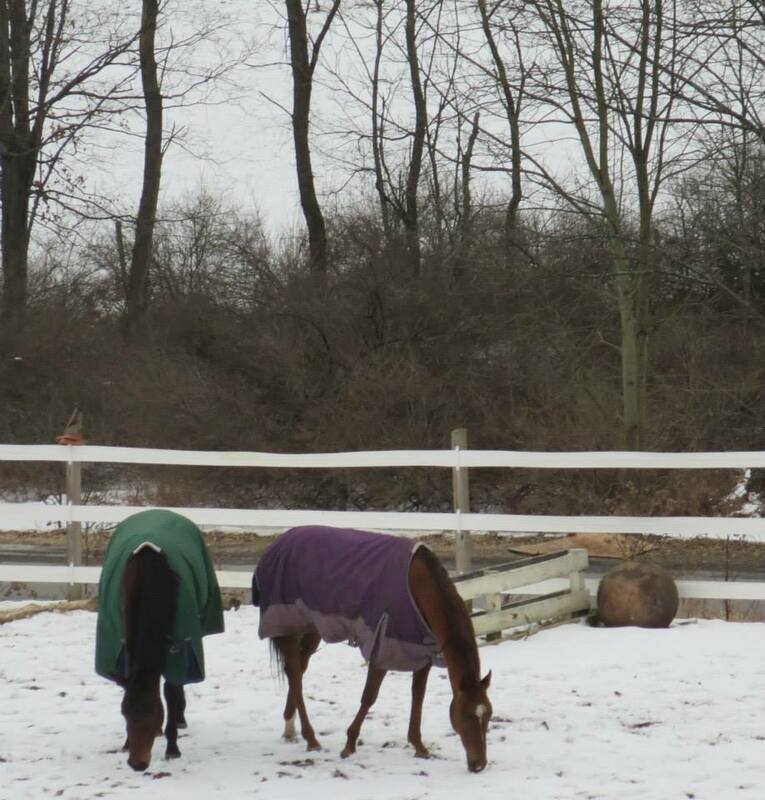 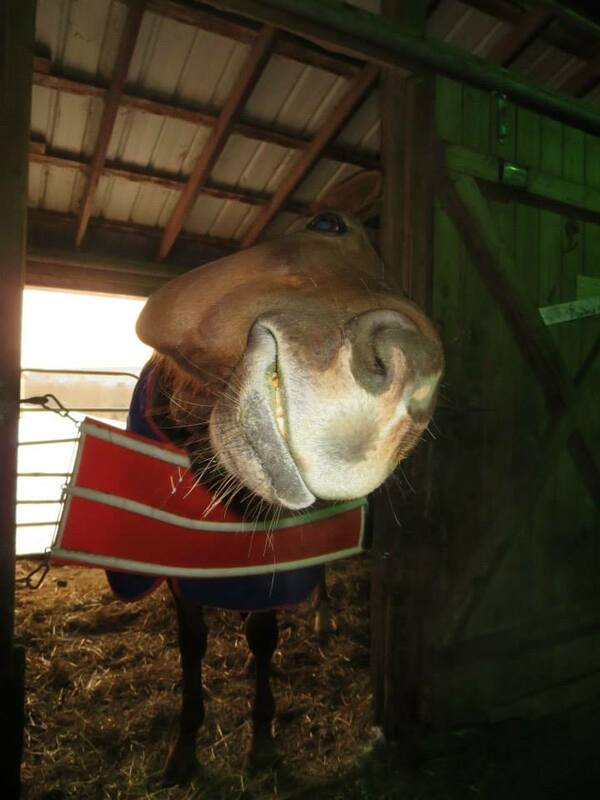 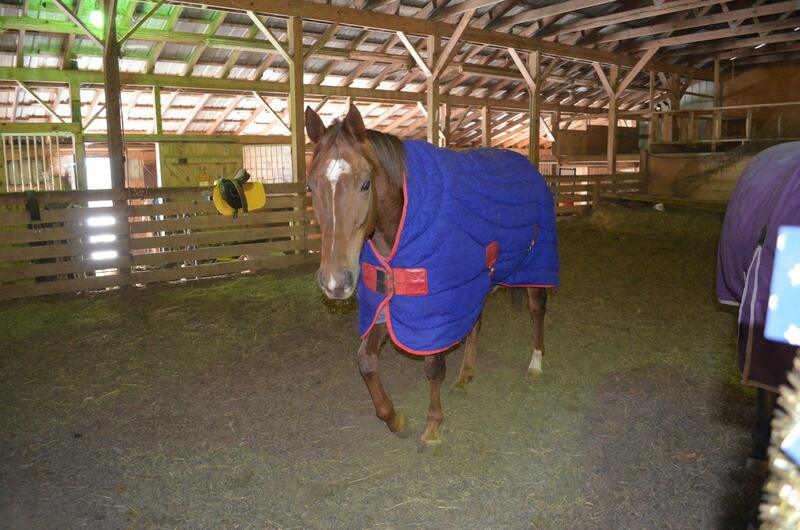 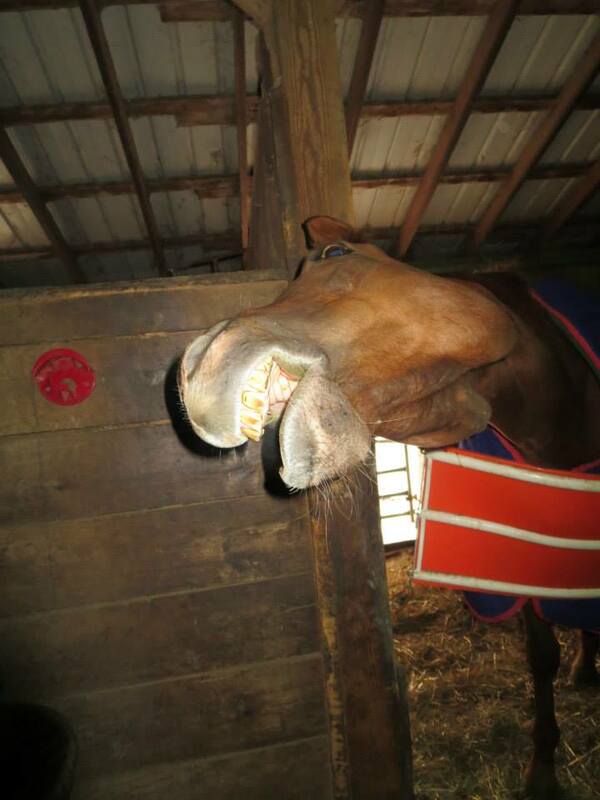 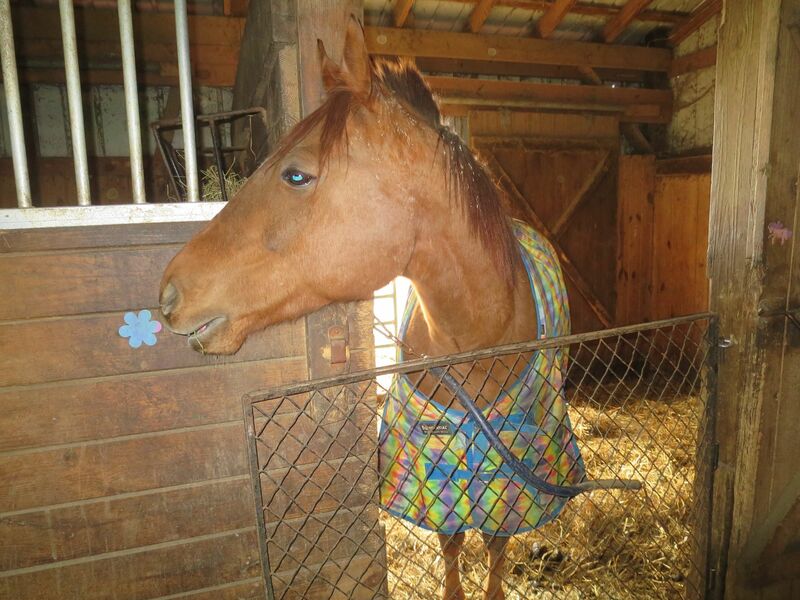 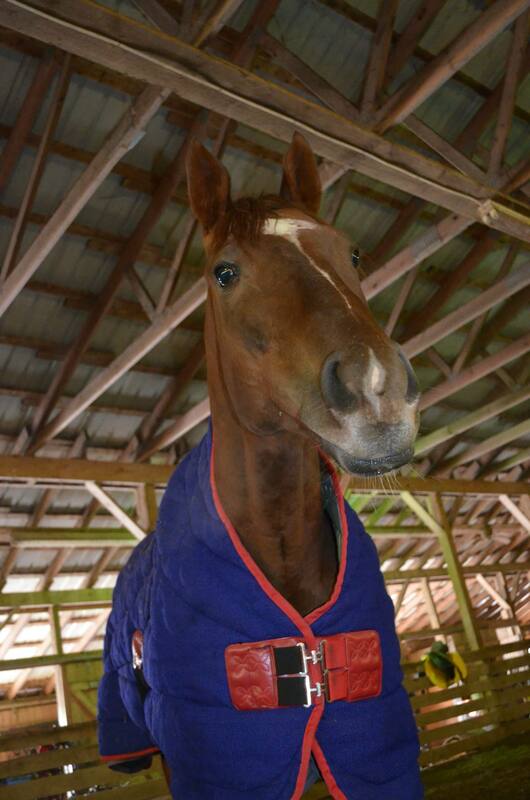 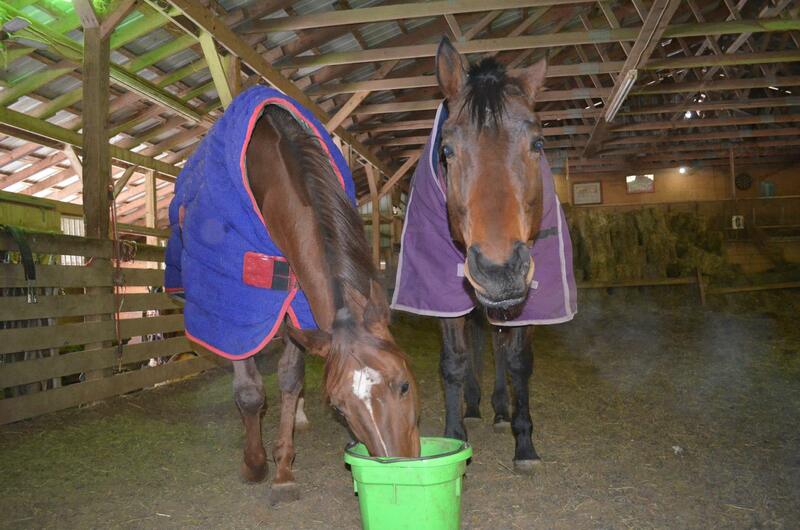 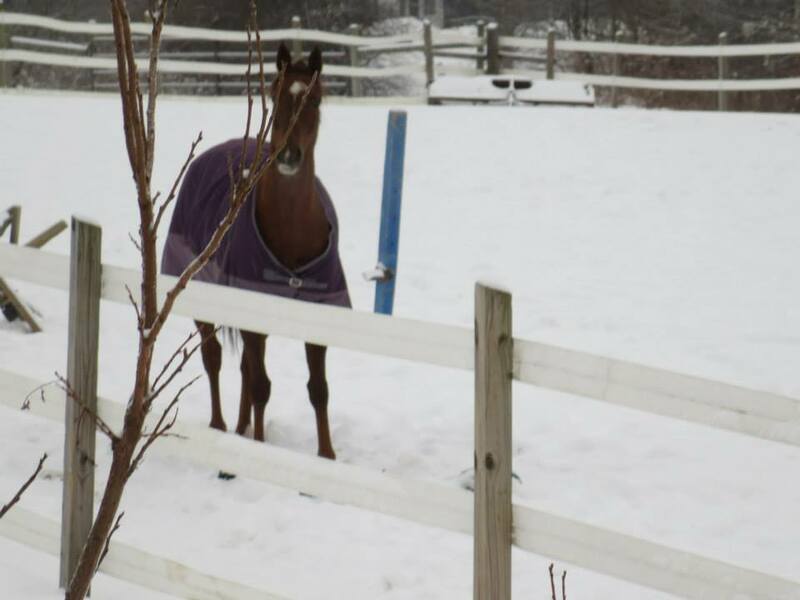 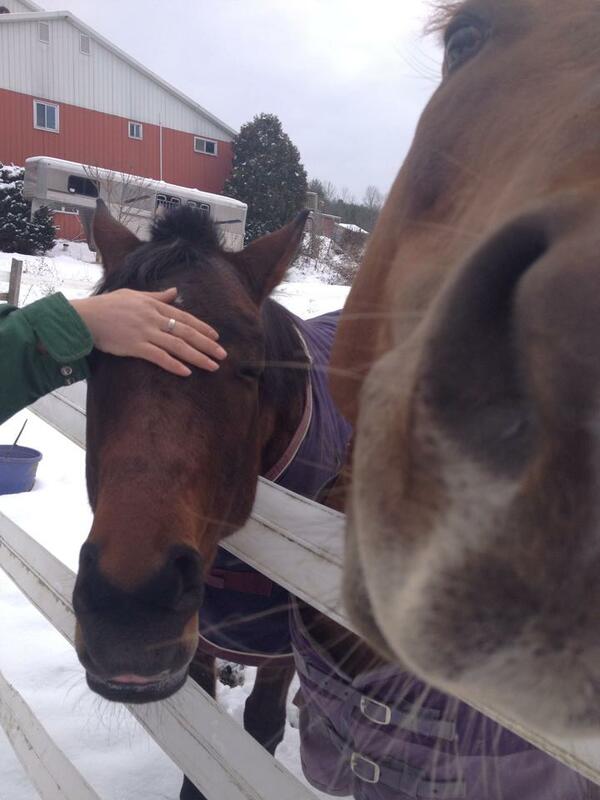 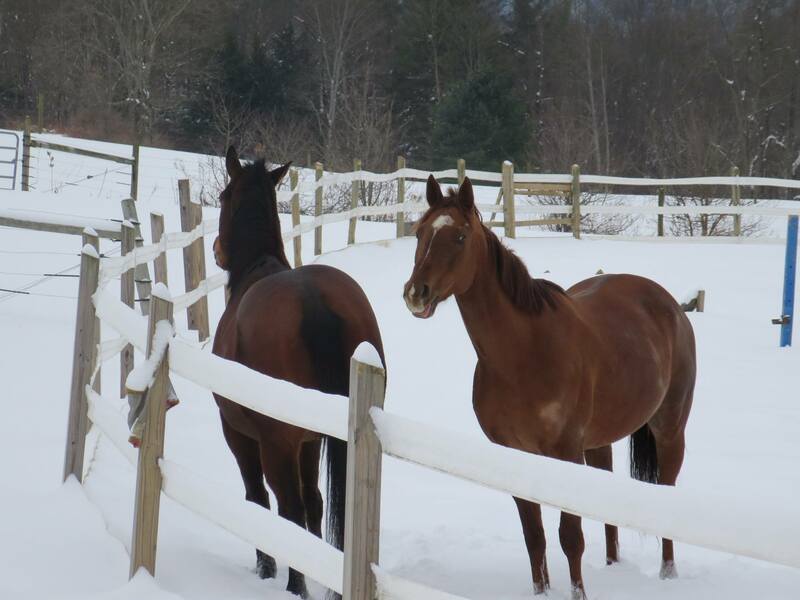 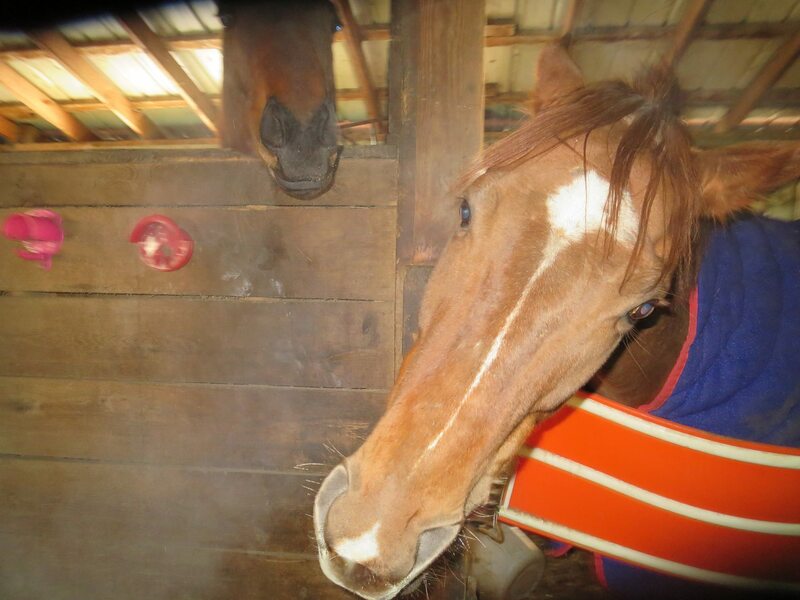 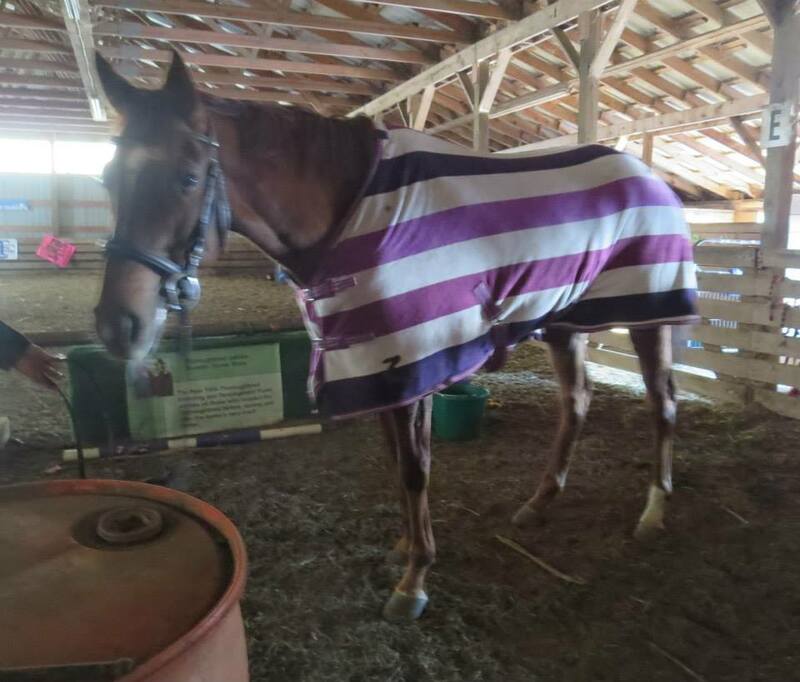 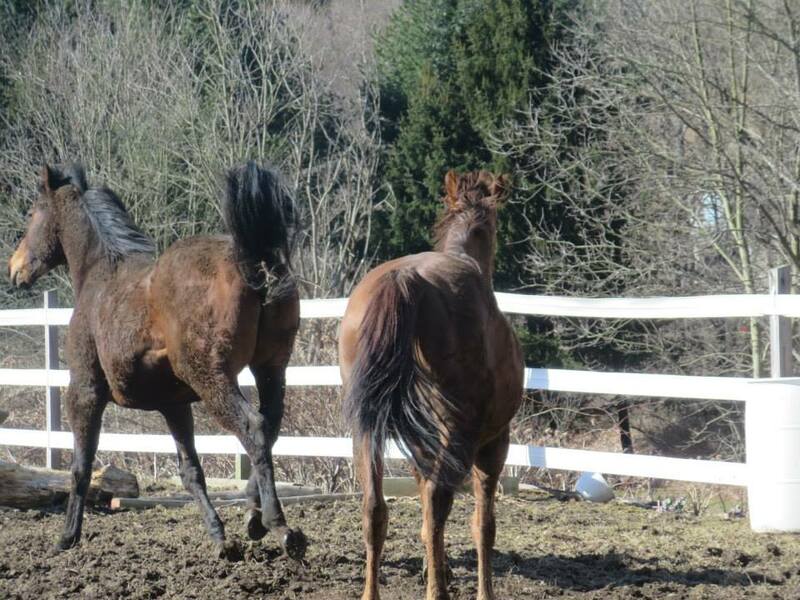 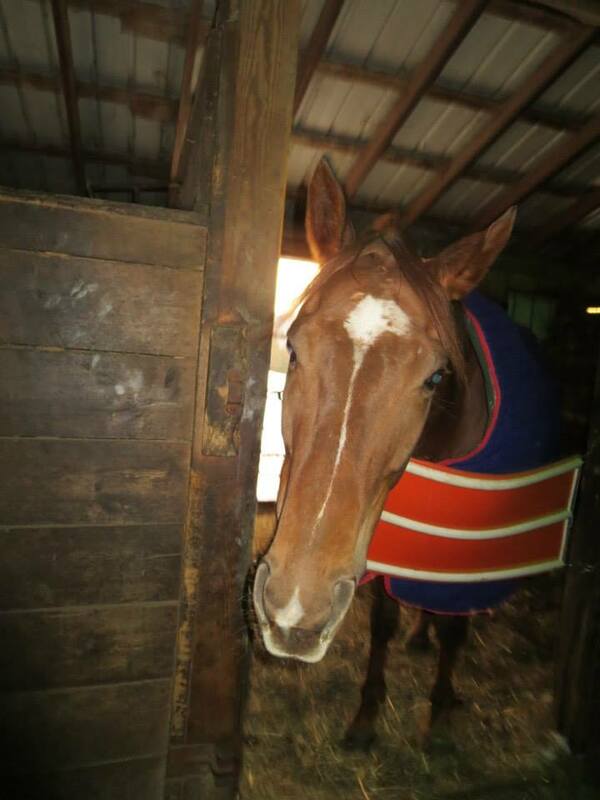 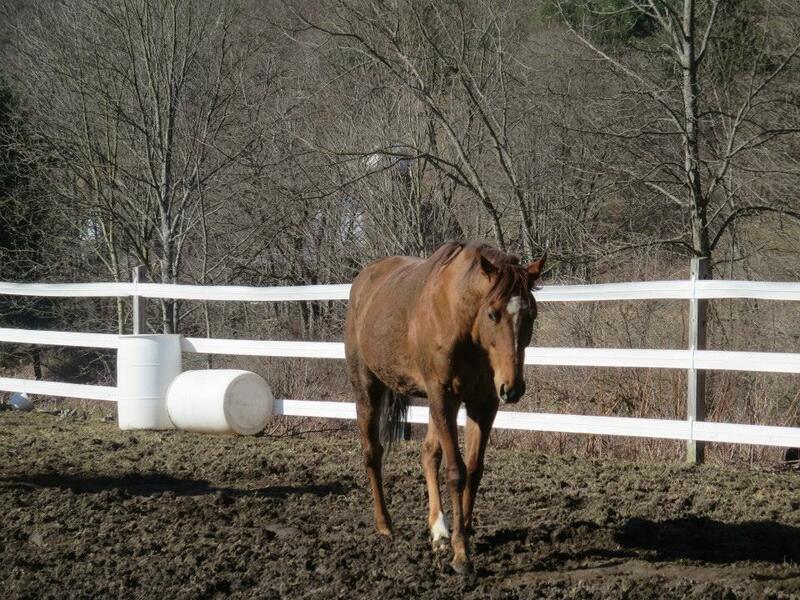 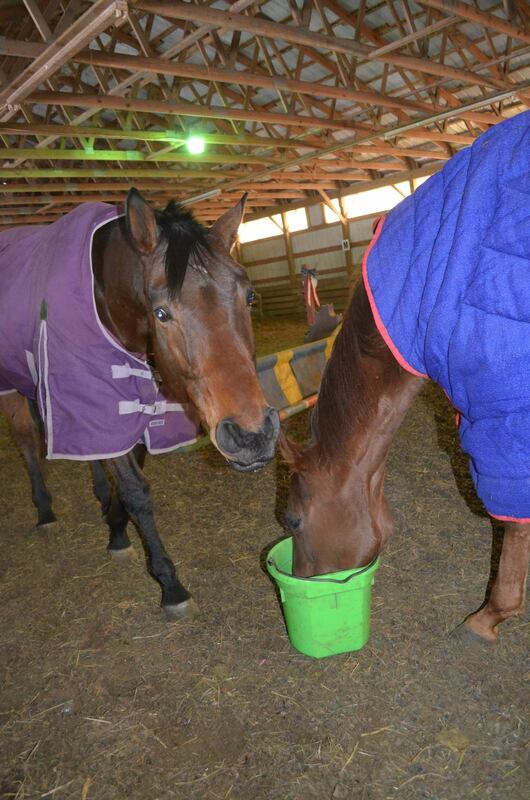 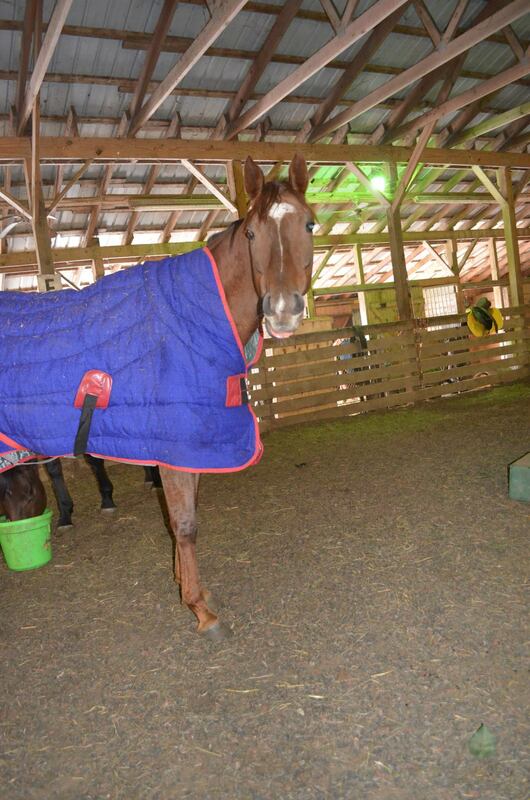 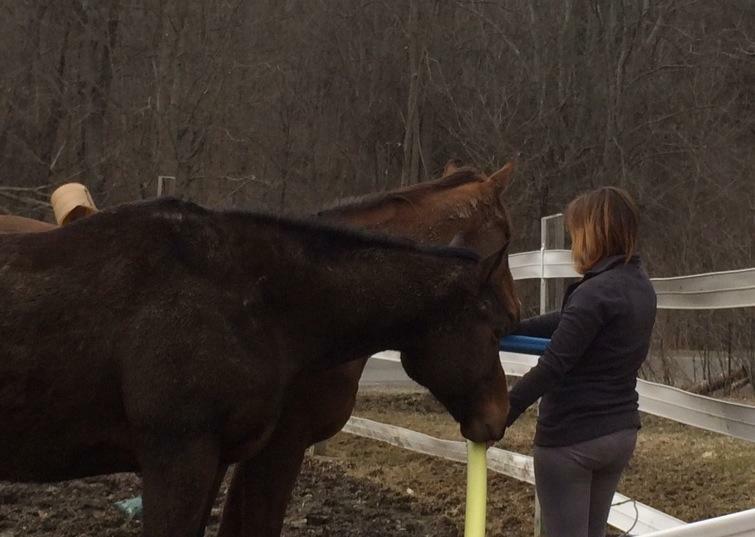 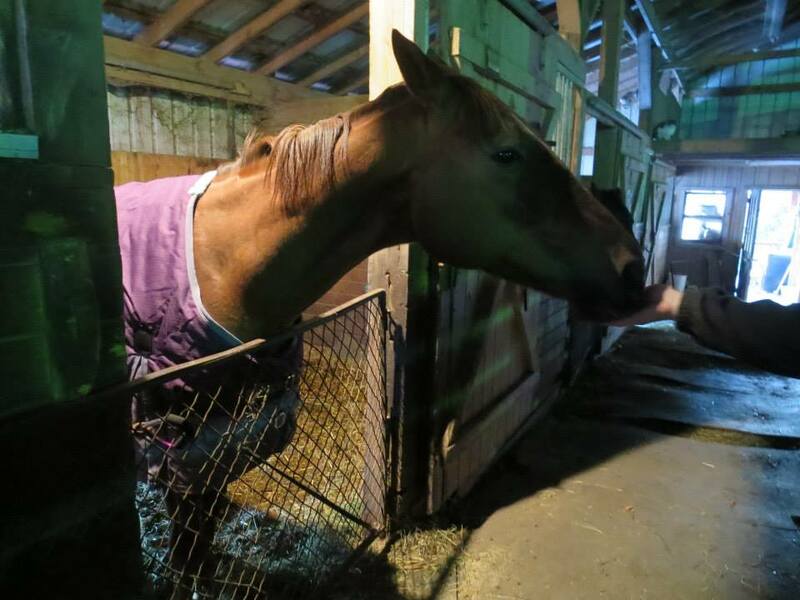 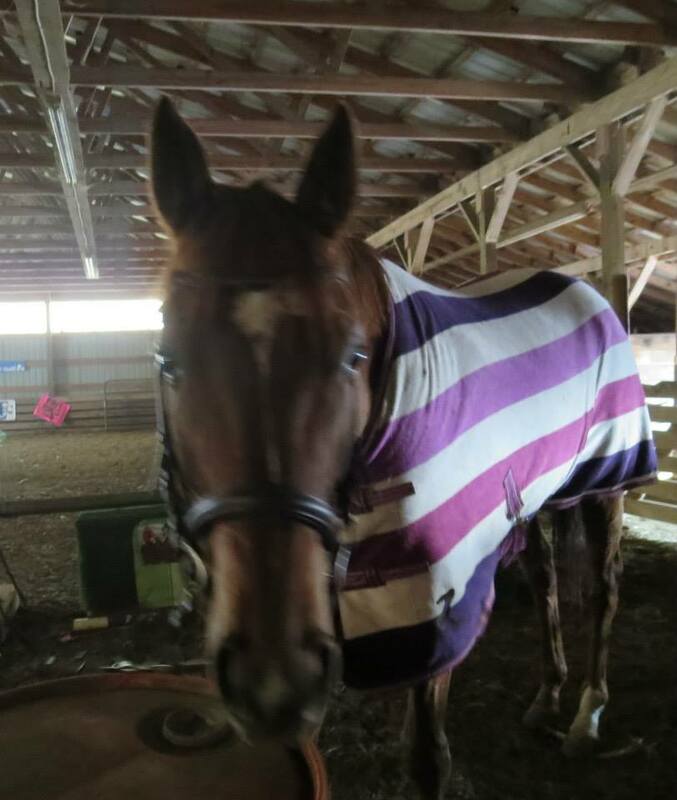 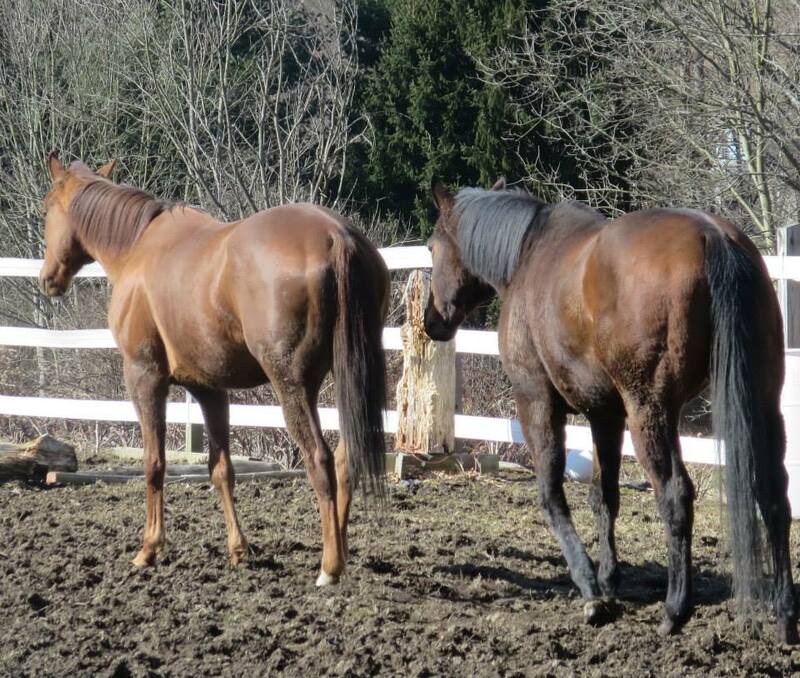 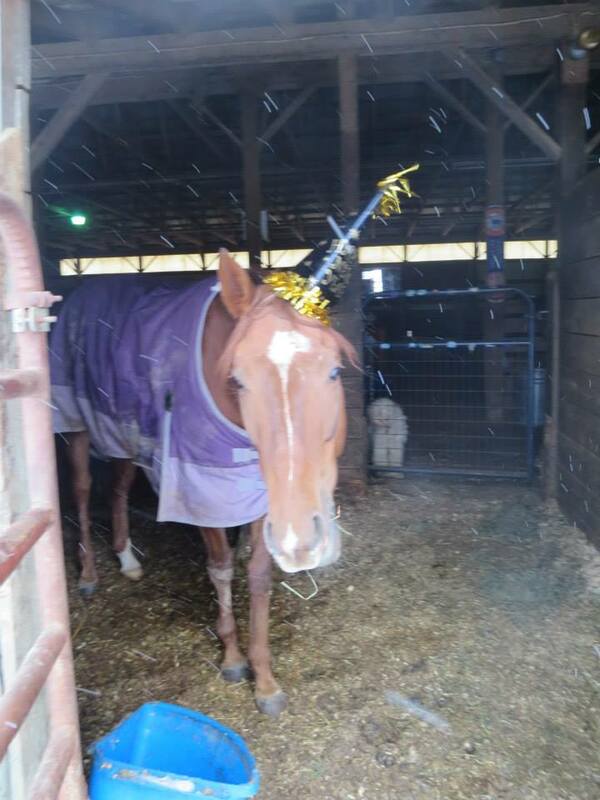 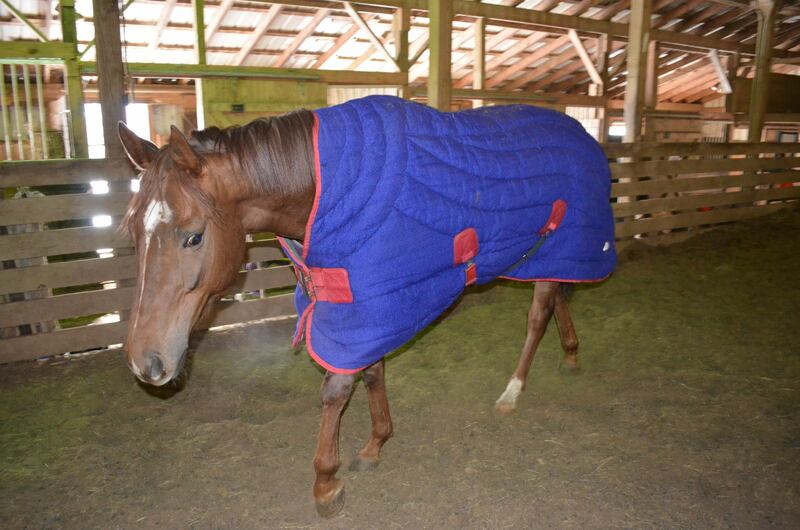 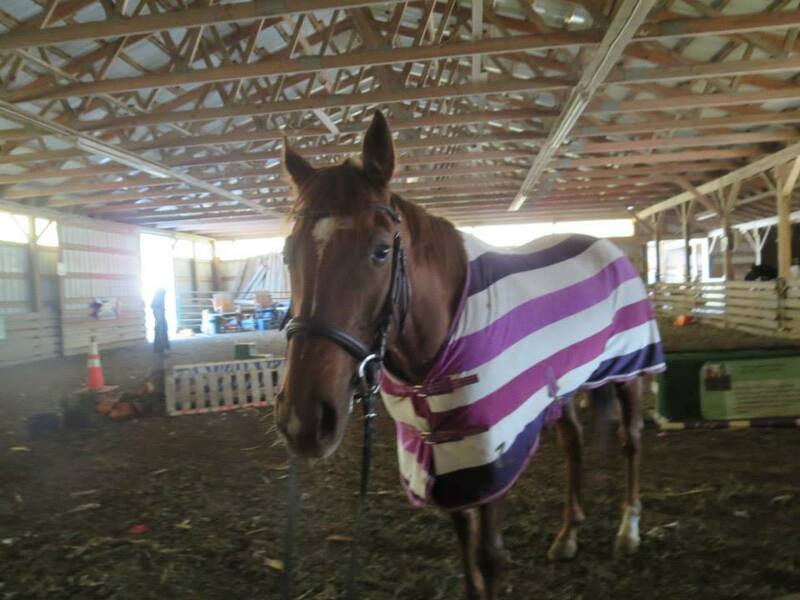 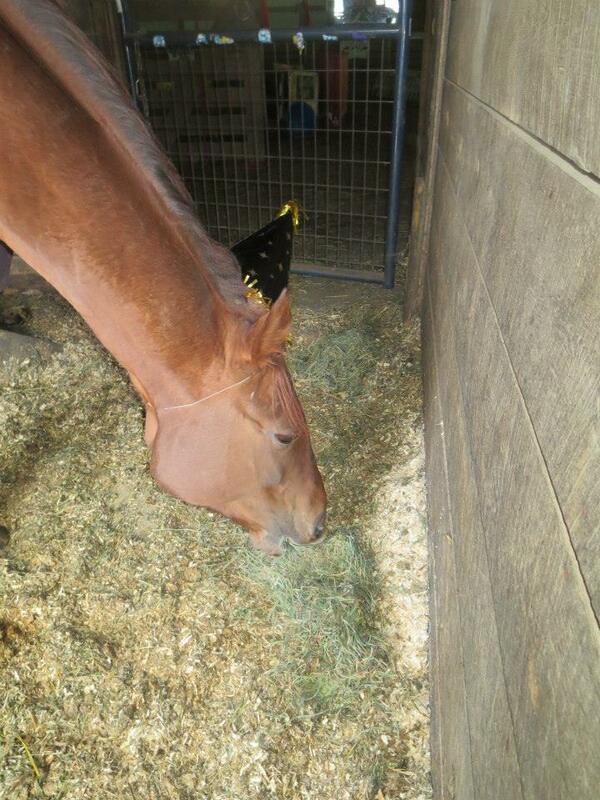 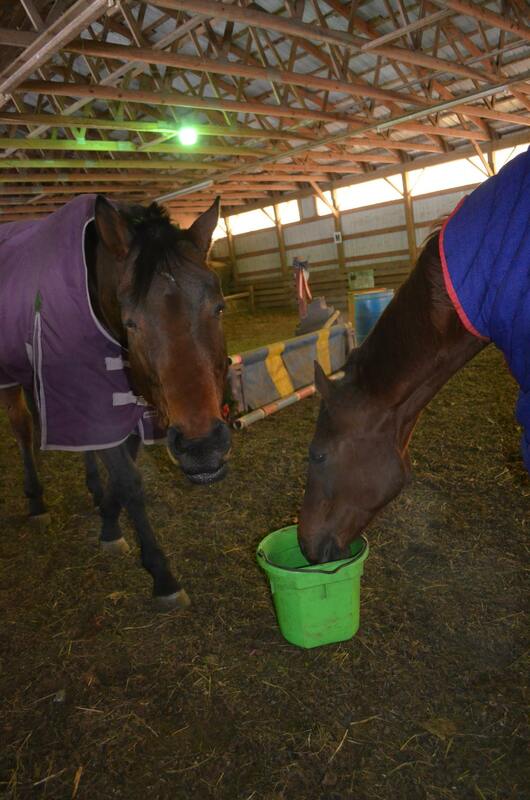 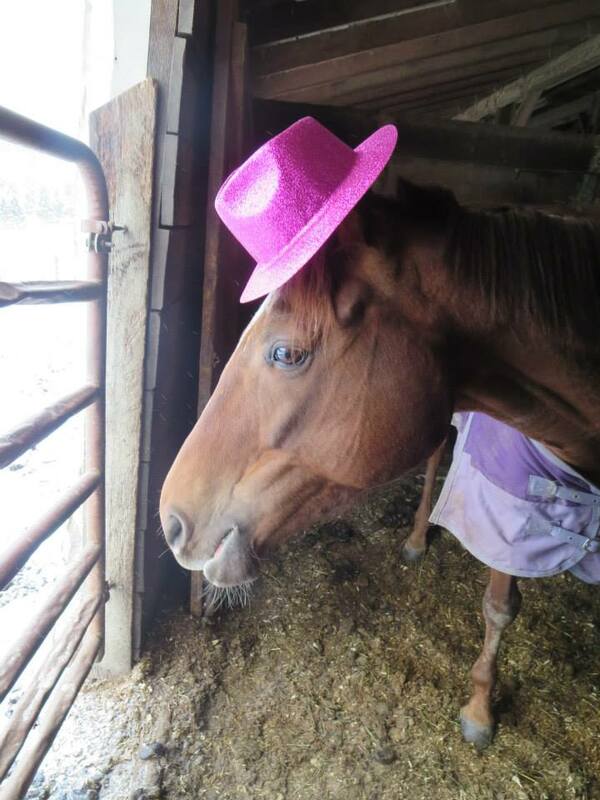 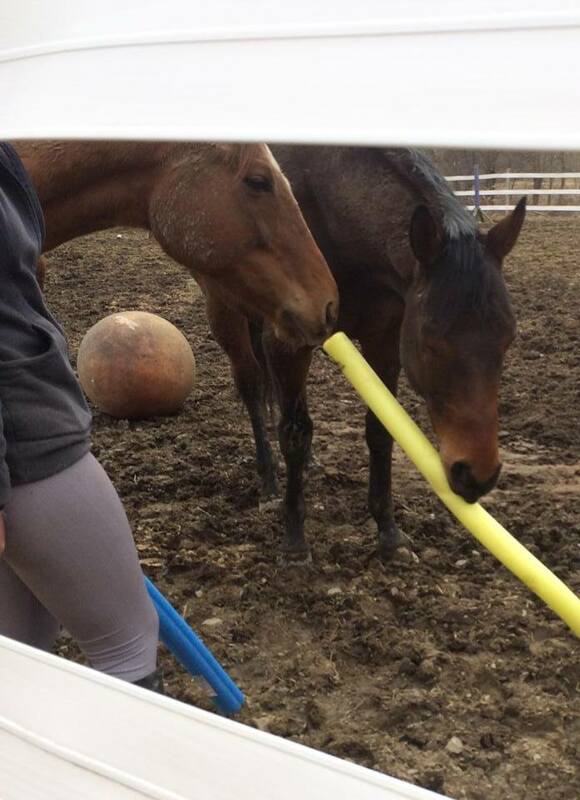 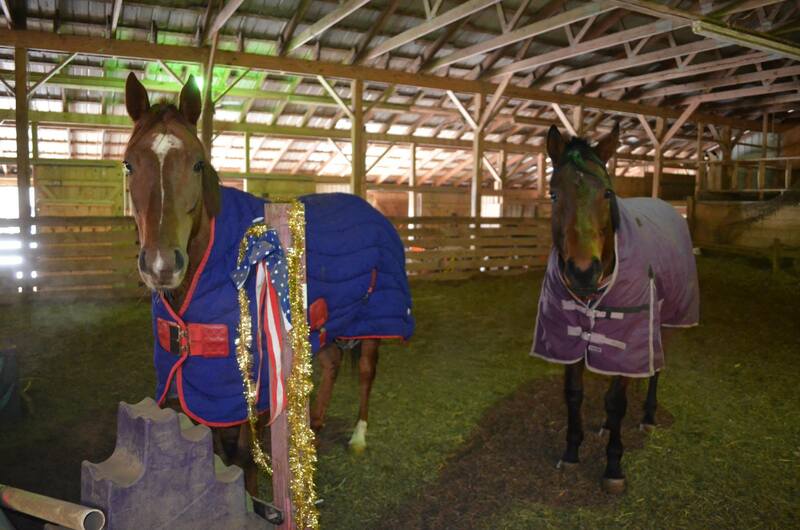 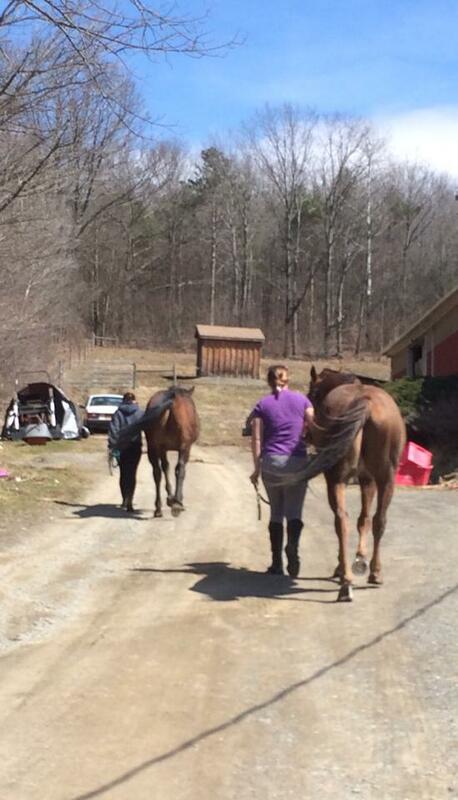 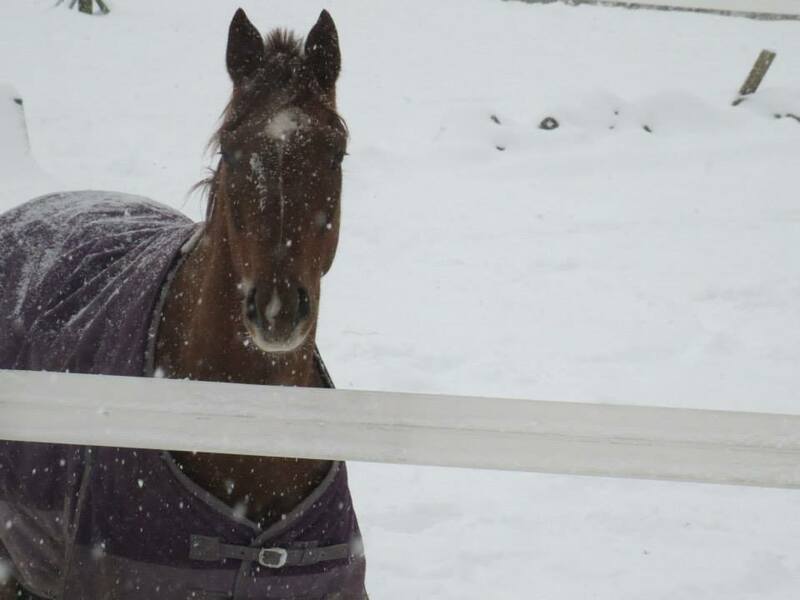 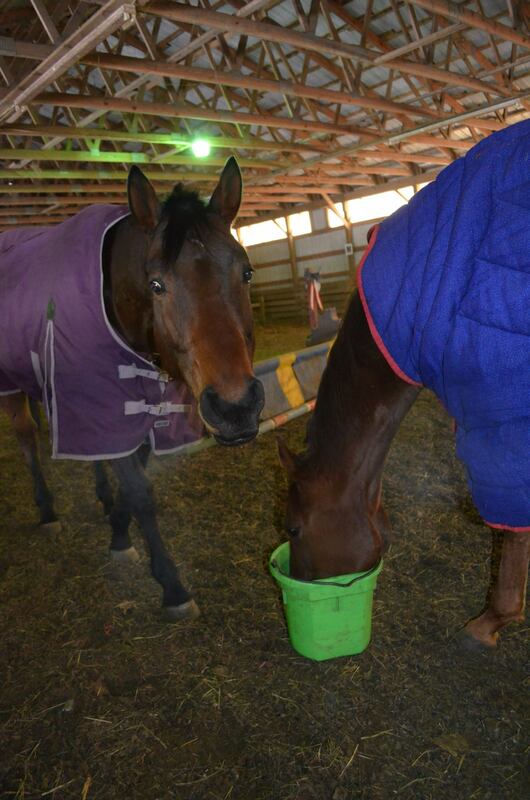 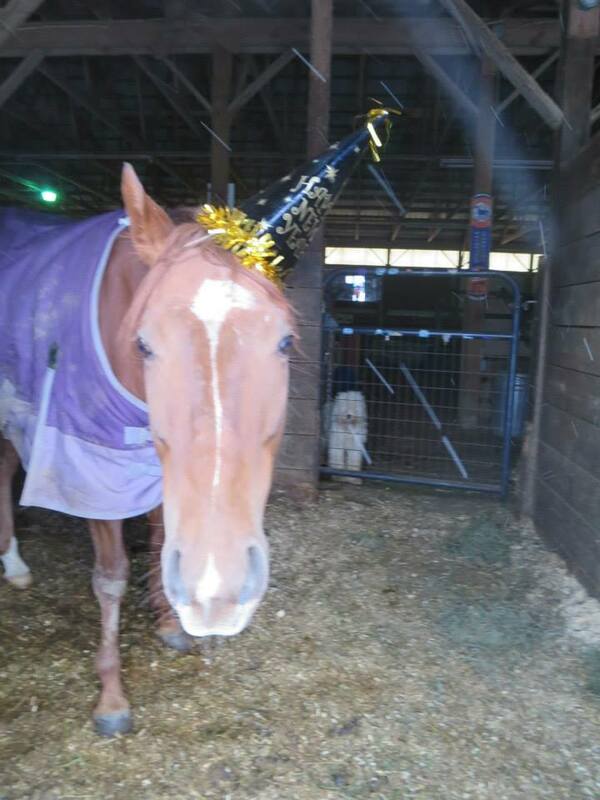 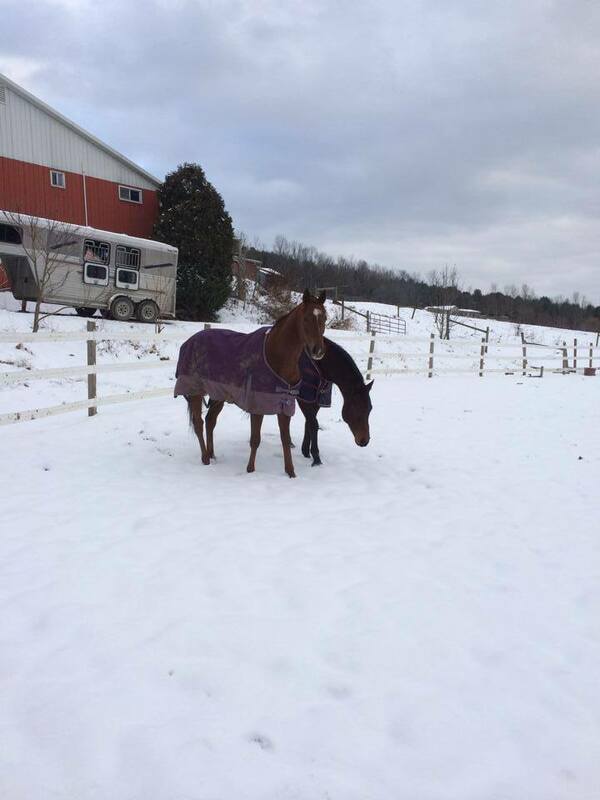 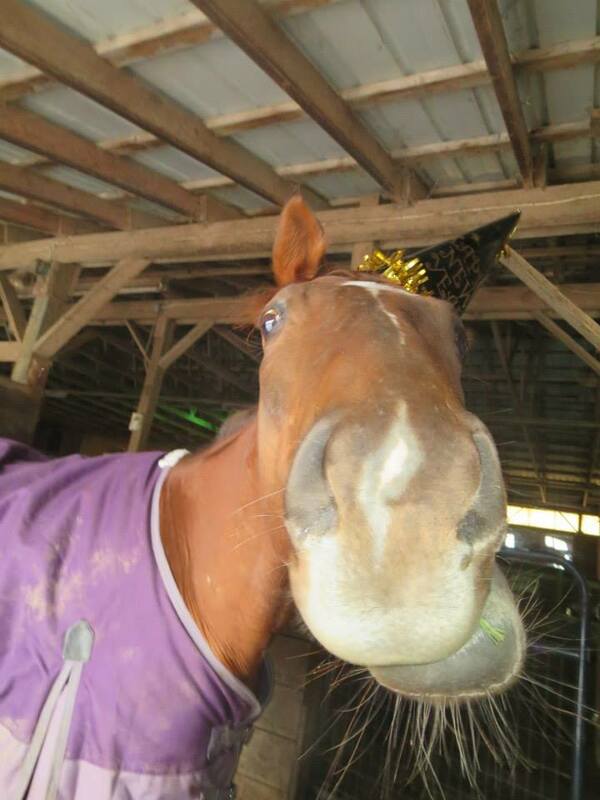 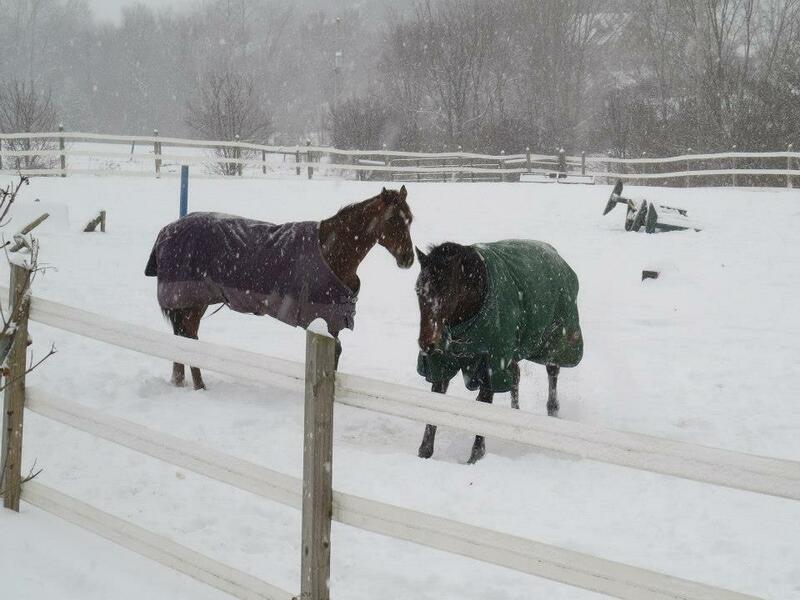 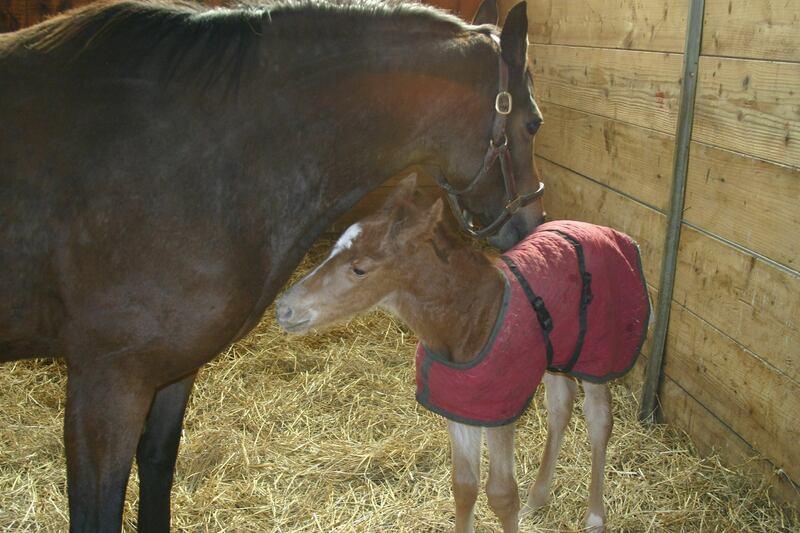 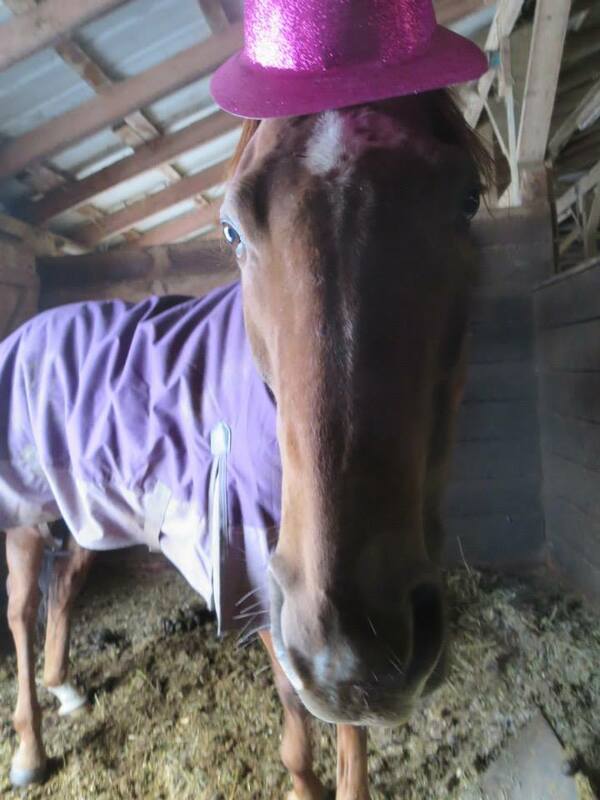 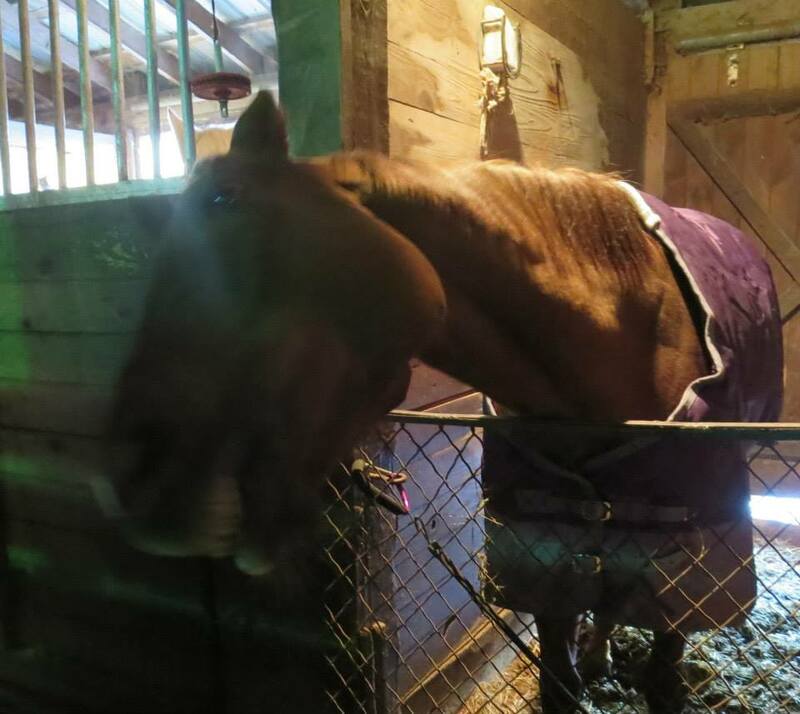 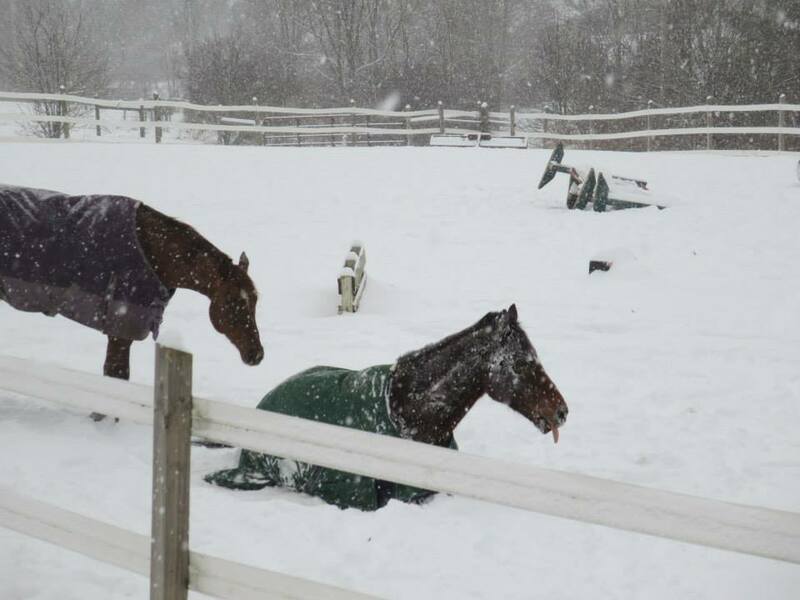 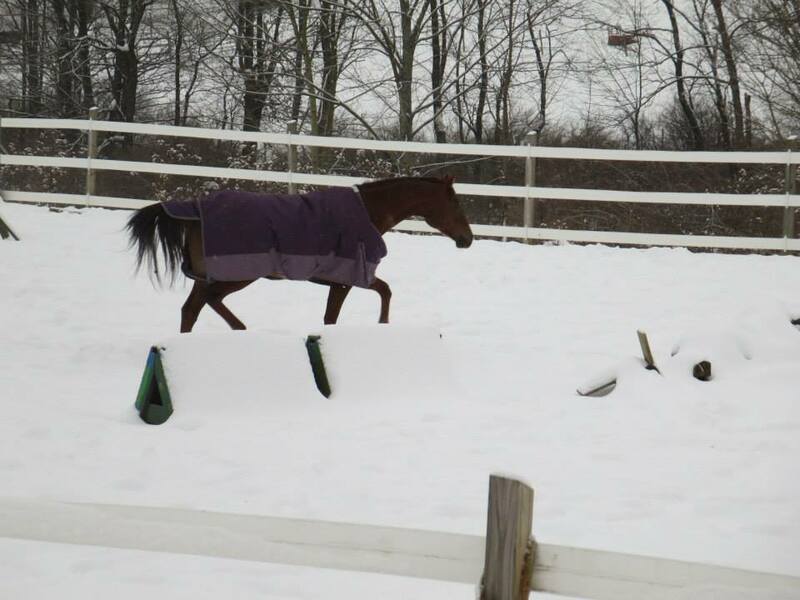 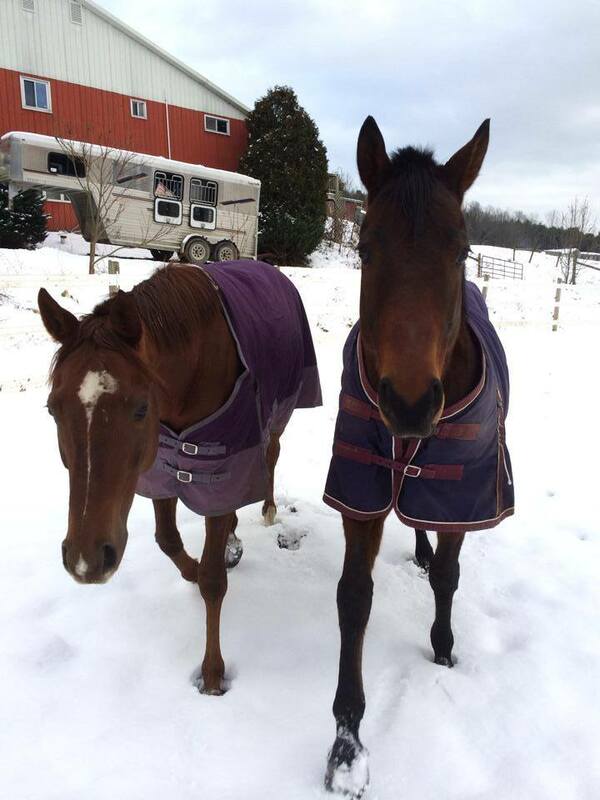 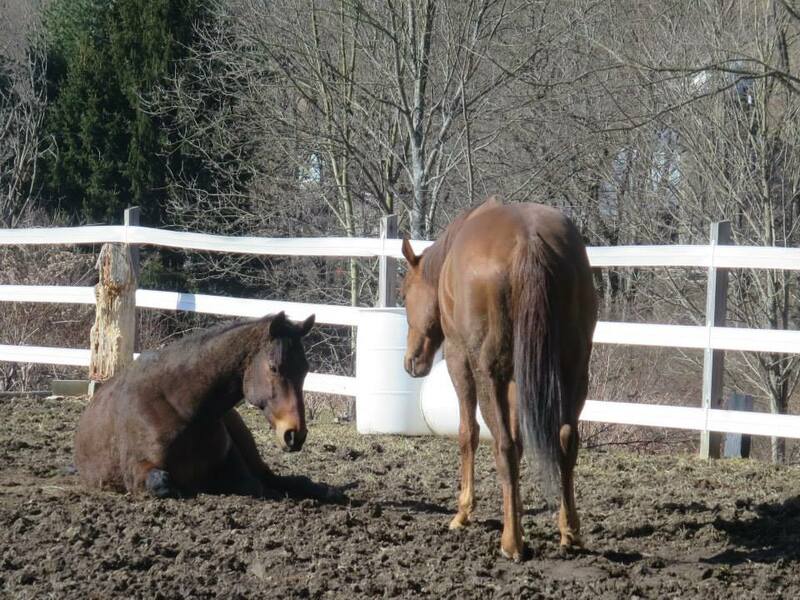 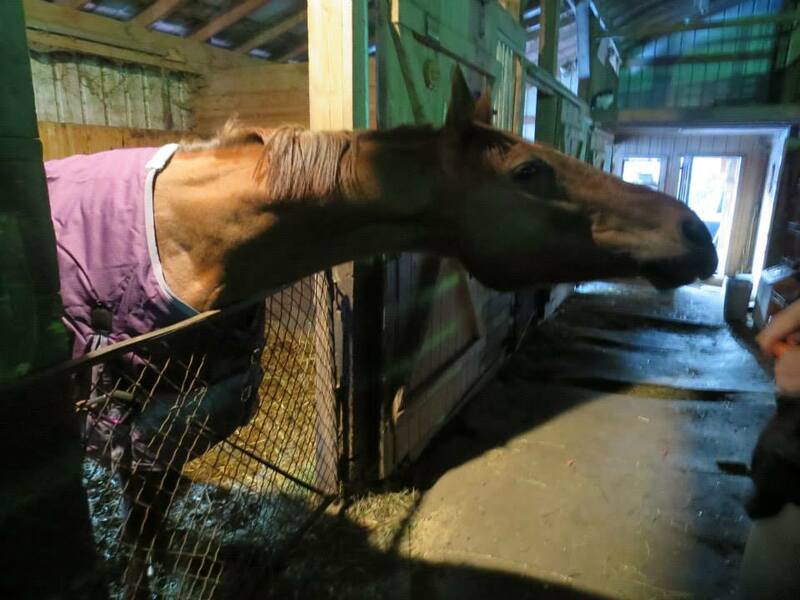 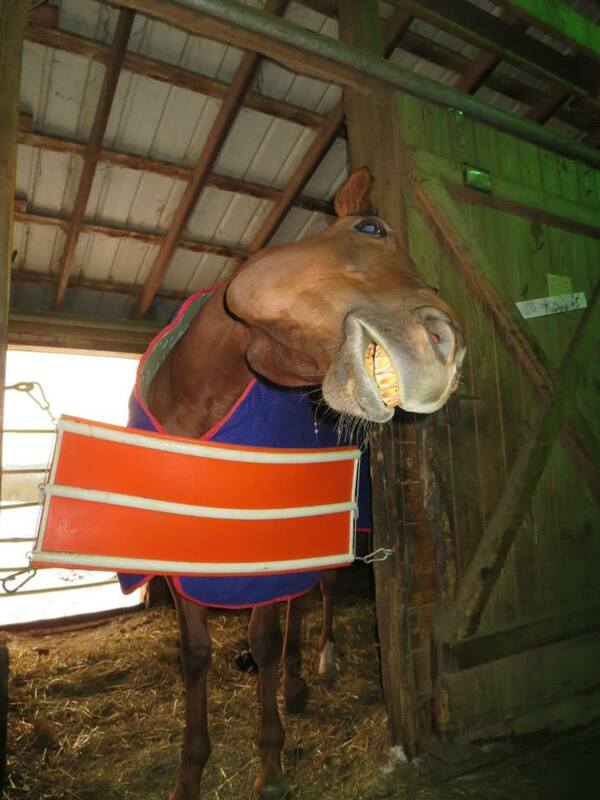 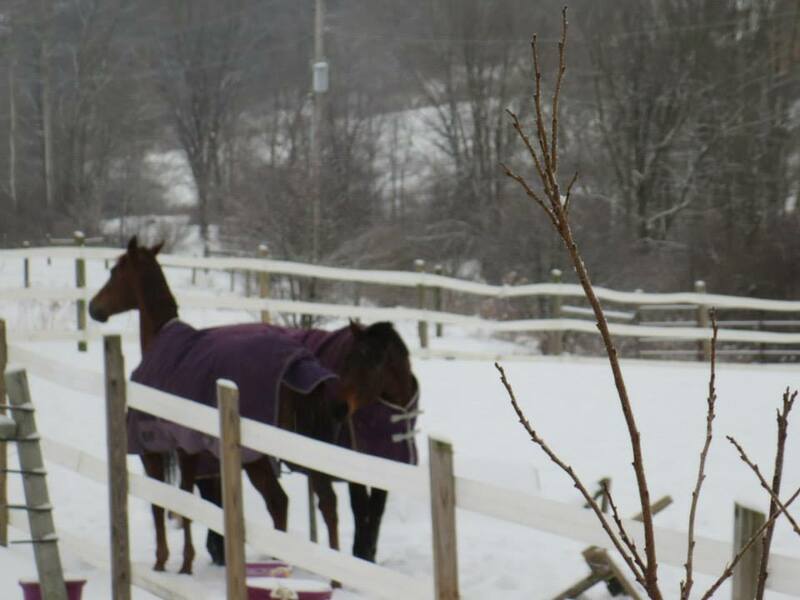 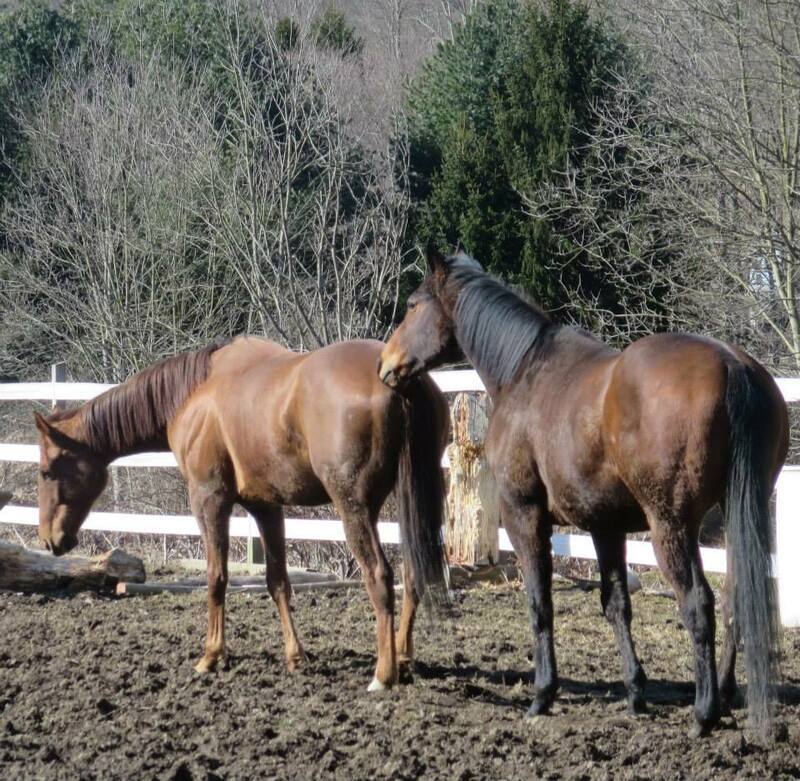 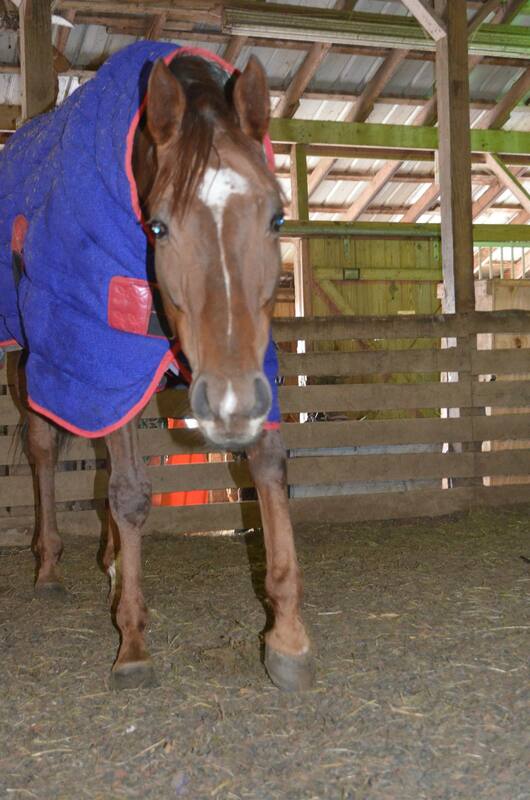 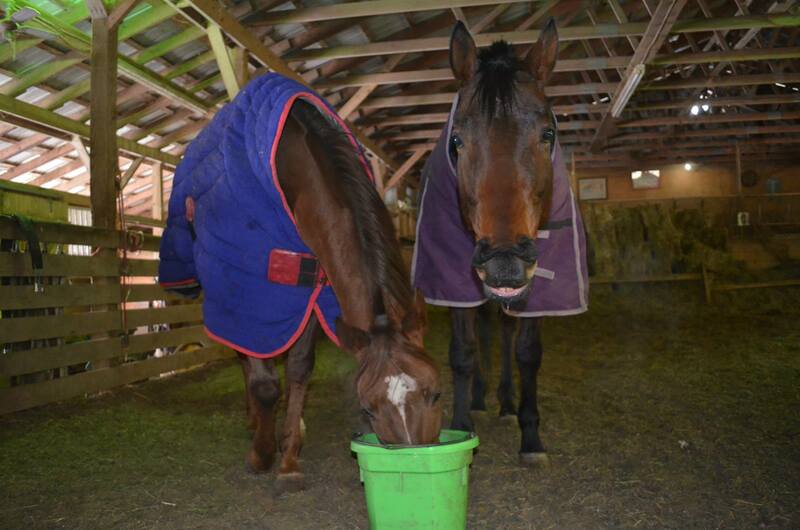 Thanks to Karen F., Leon received a brand new purple turnout blanket which was put to good use last winter. 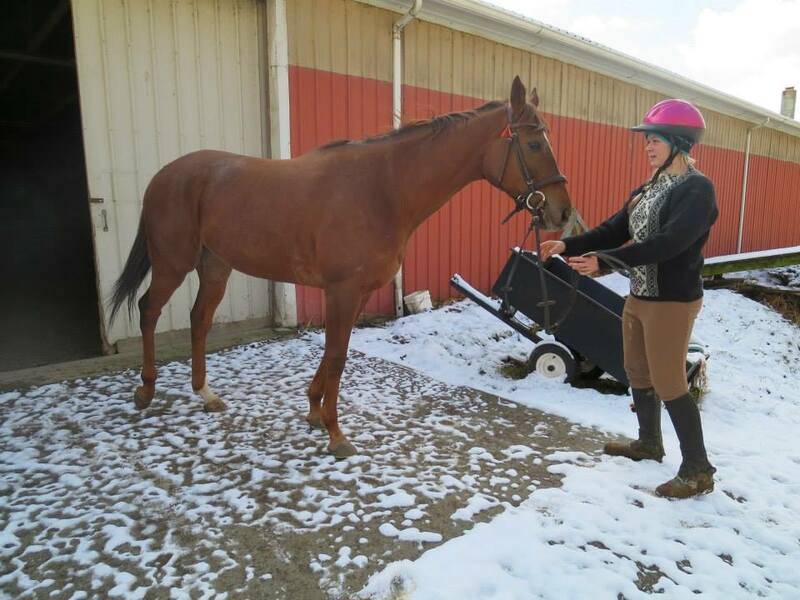 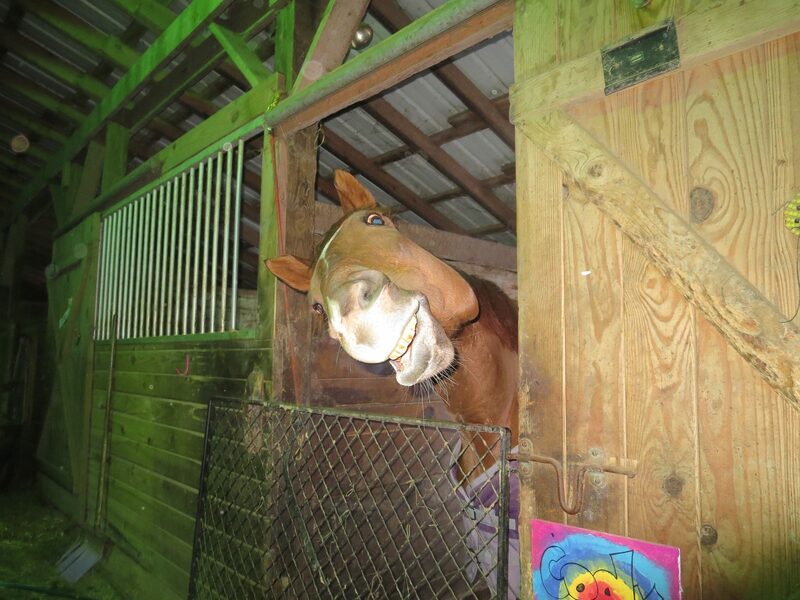 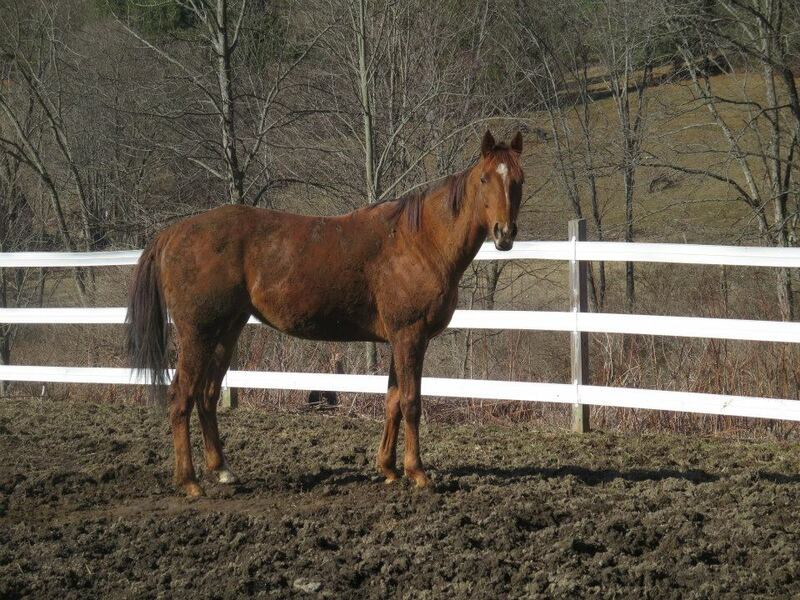 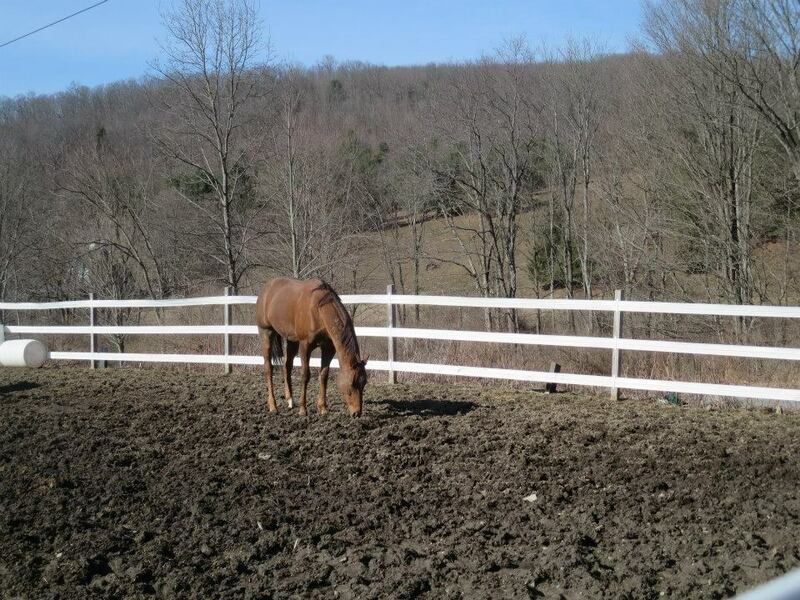 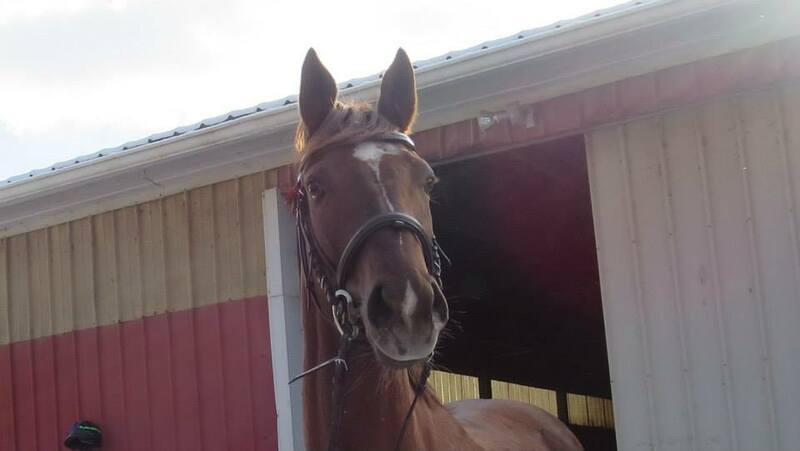 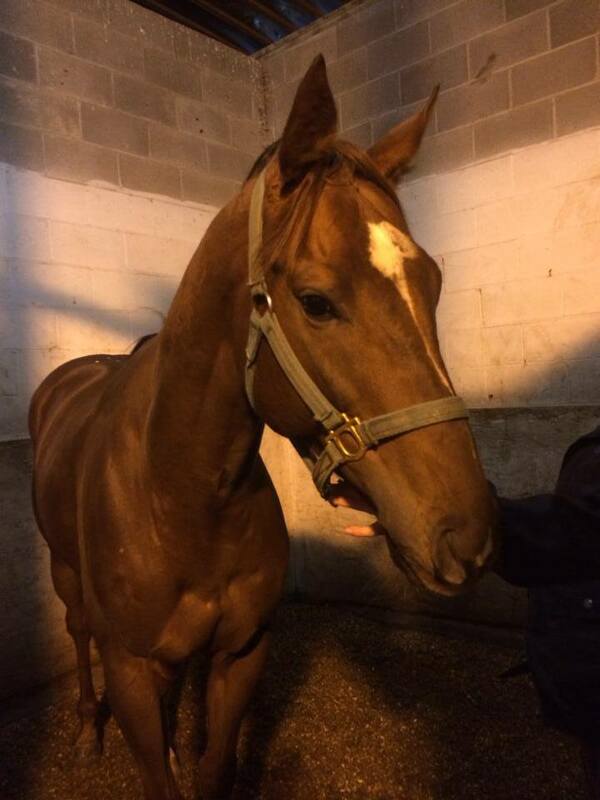 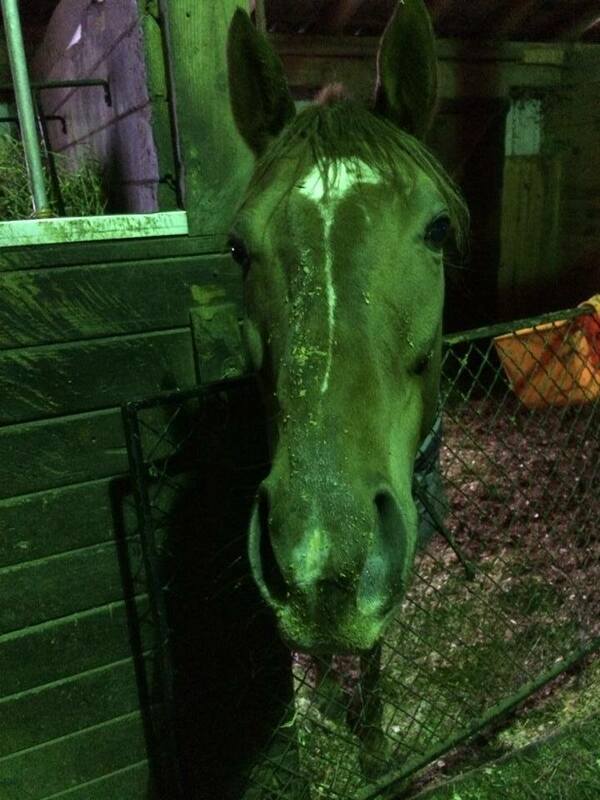 Leon has been started under saddle and over small courses and enjoys having a job. 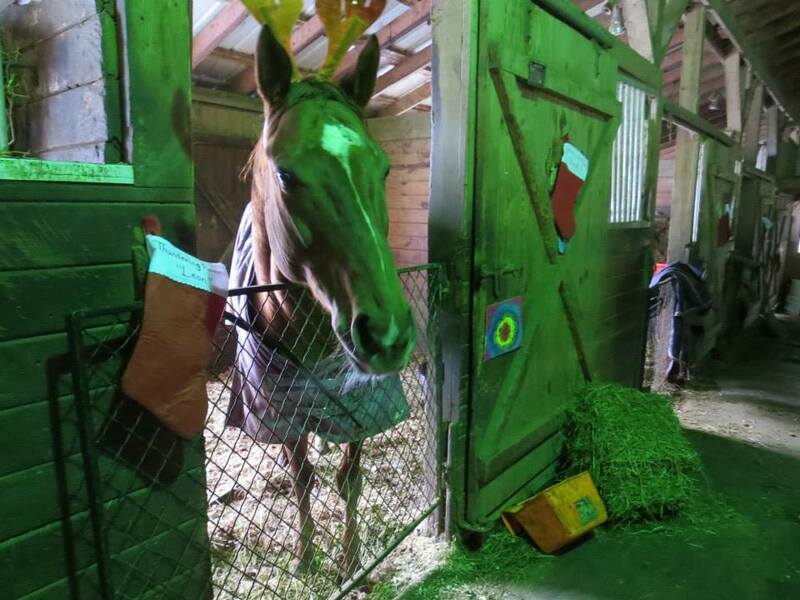 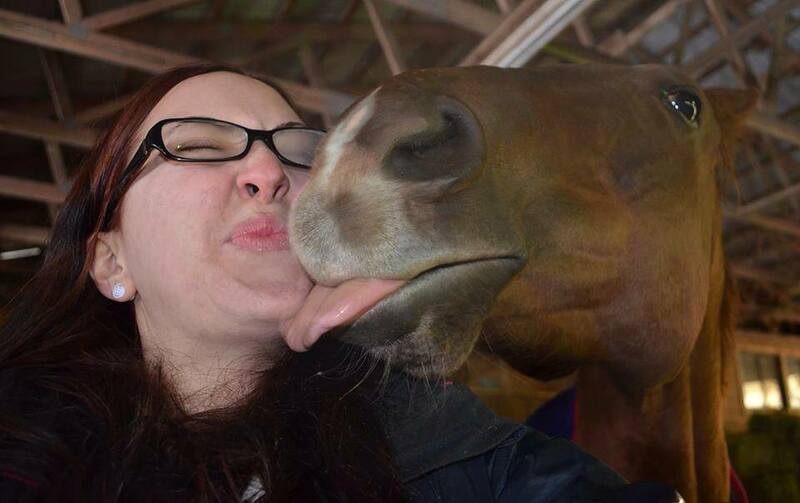 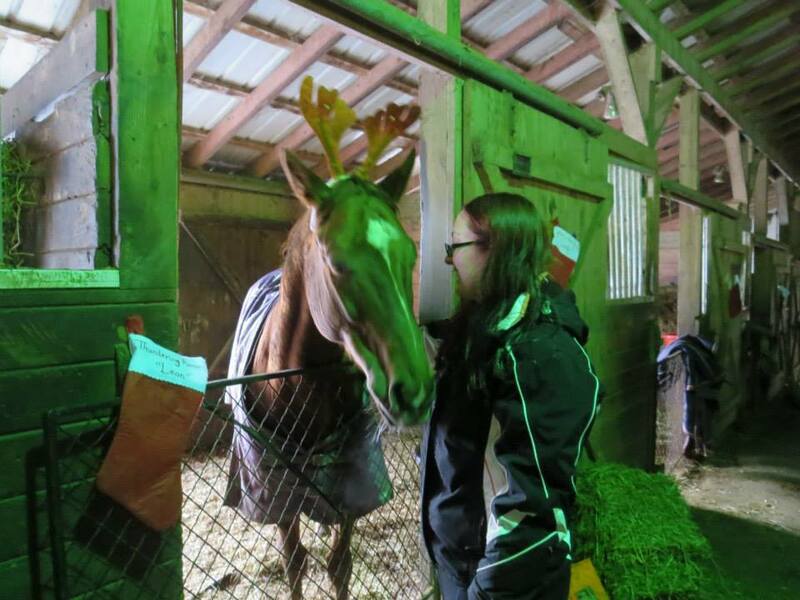 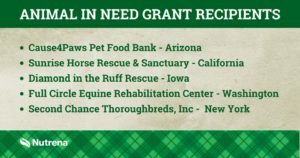 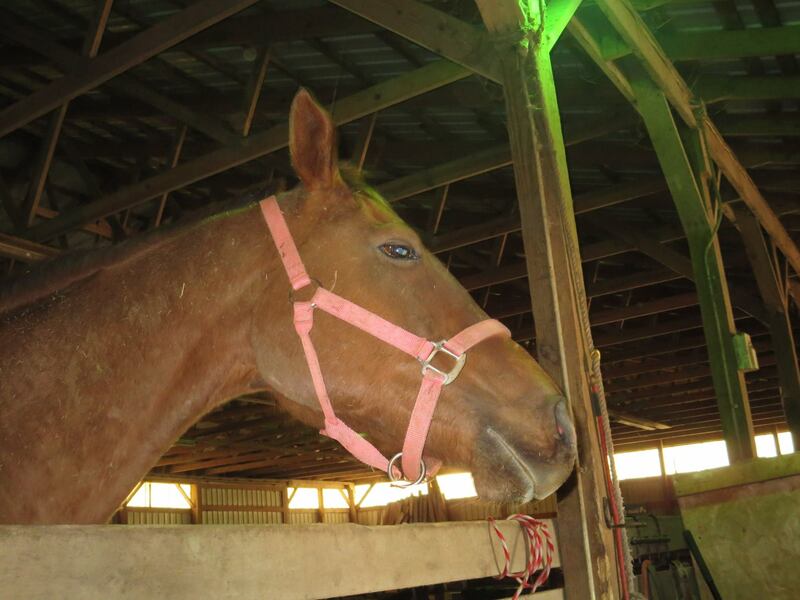 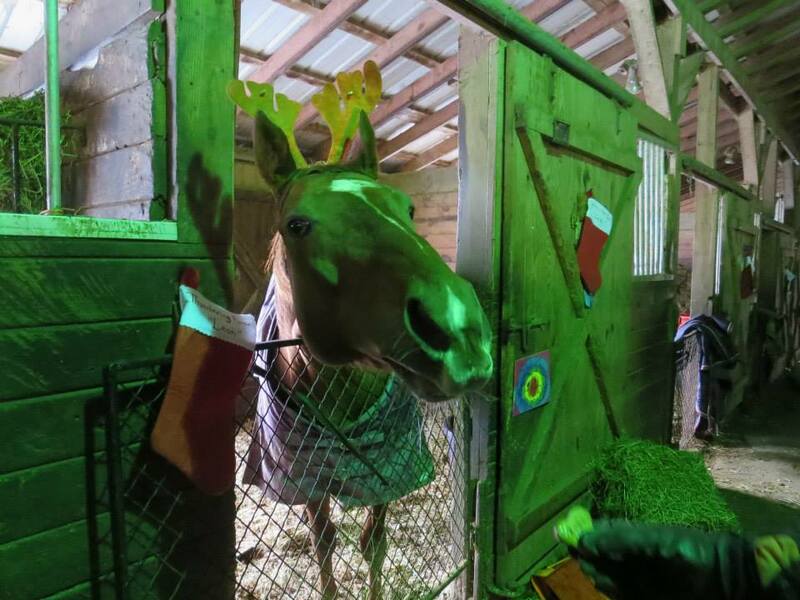 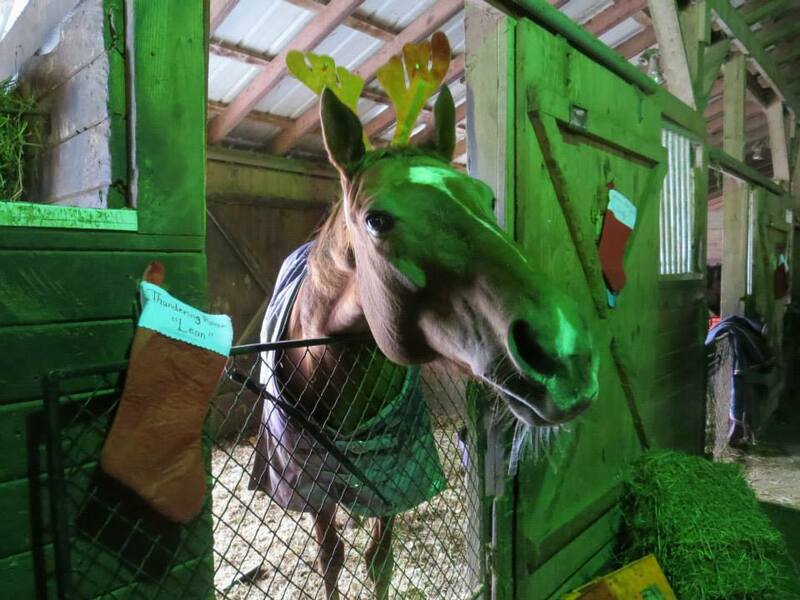 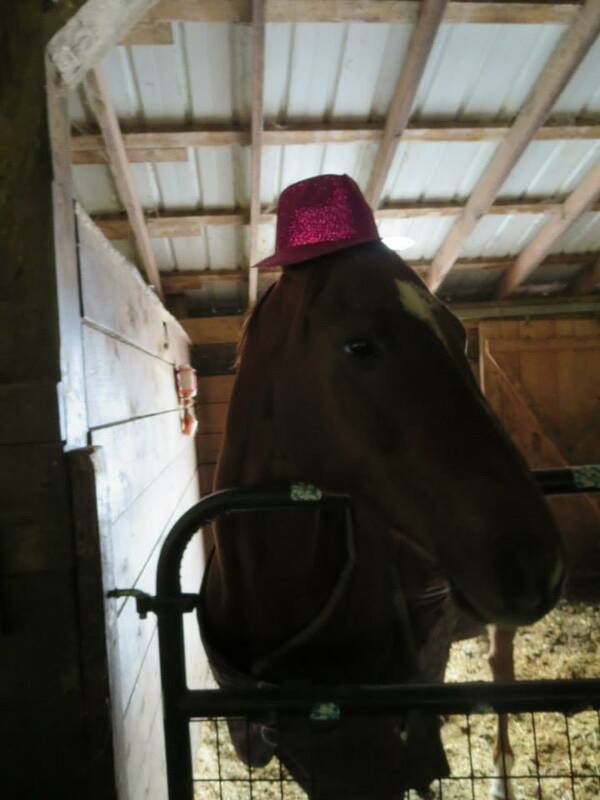 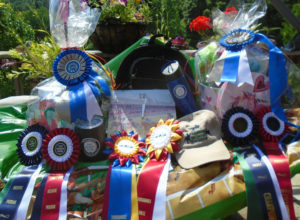 He has shown twice this season, at our Thoroughbred Jubilee Benefit Horse Show in July and at the Chemung County Fair Horse Show in August. 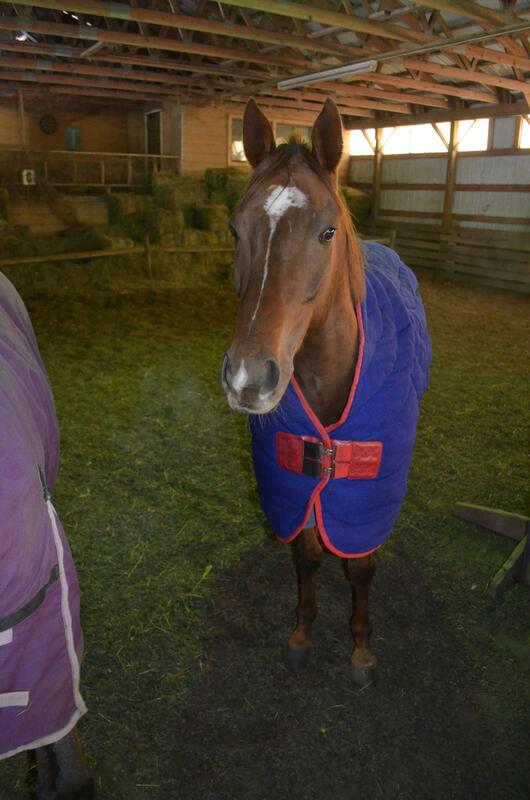 Leon also attended his first hunter pace in September and really enjoyed it! 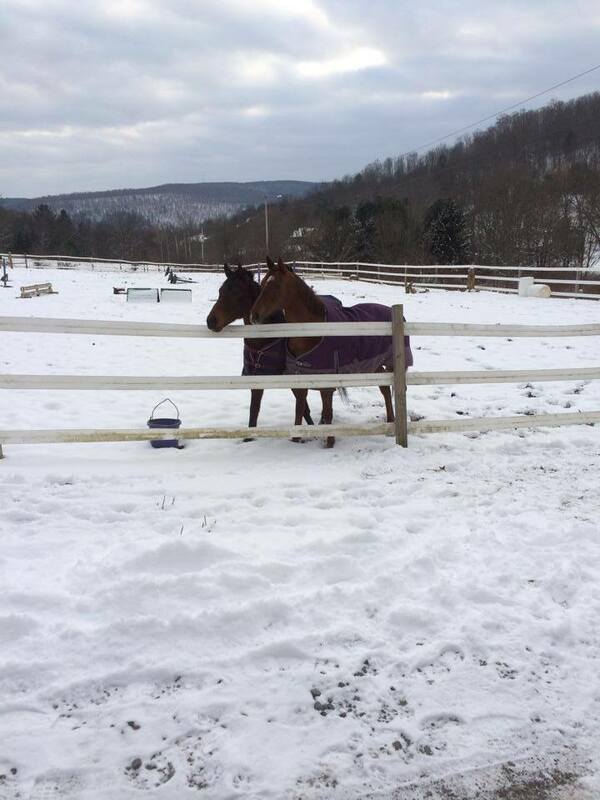 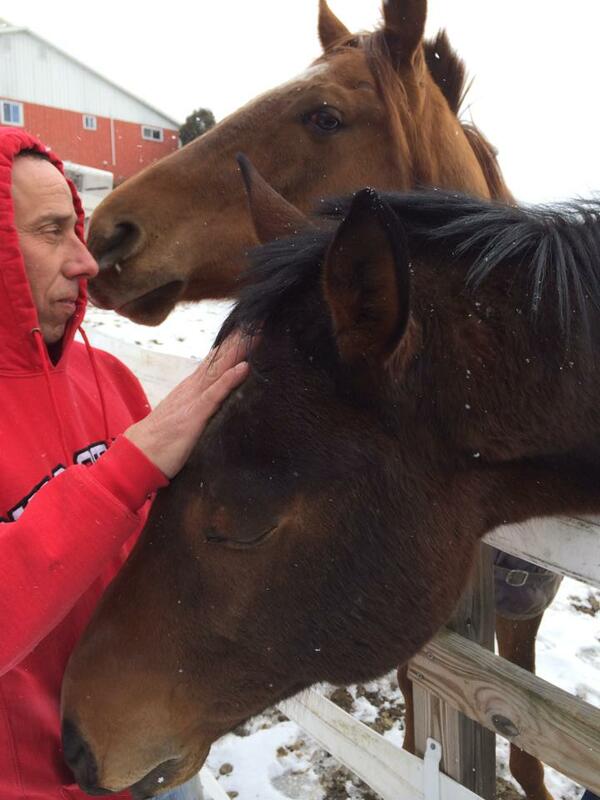 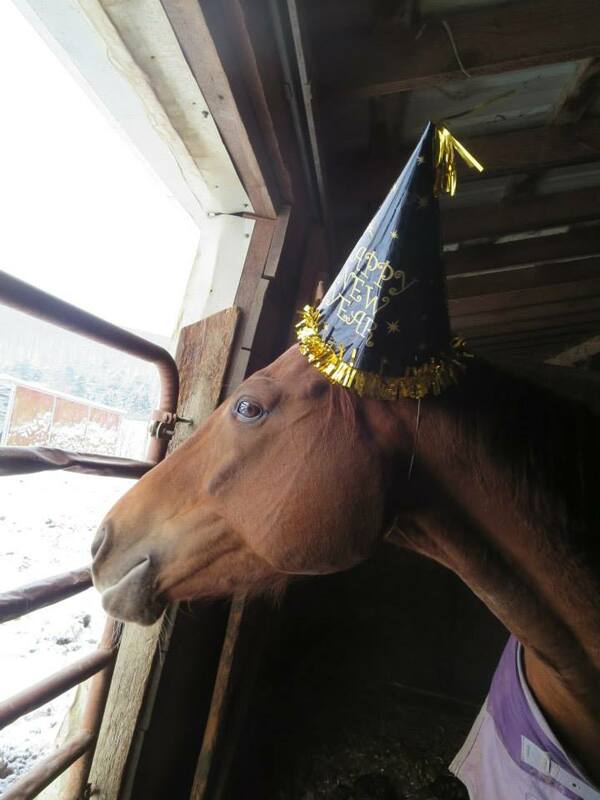 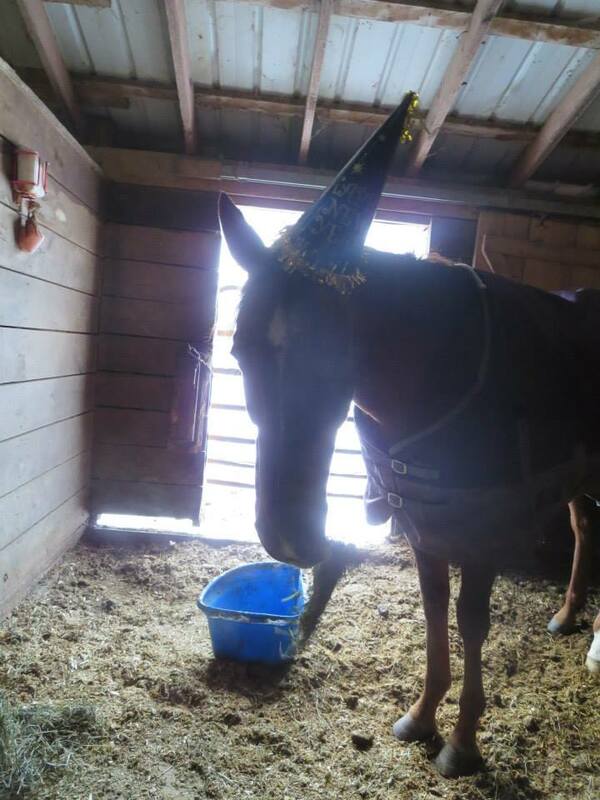 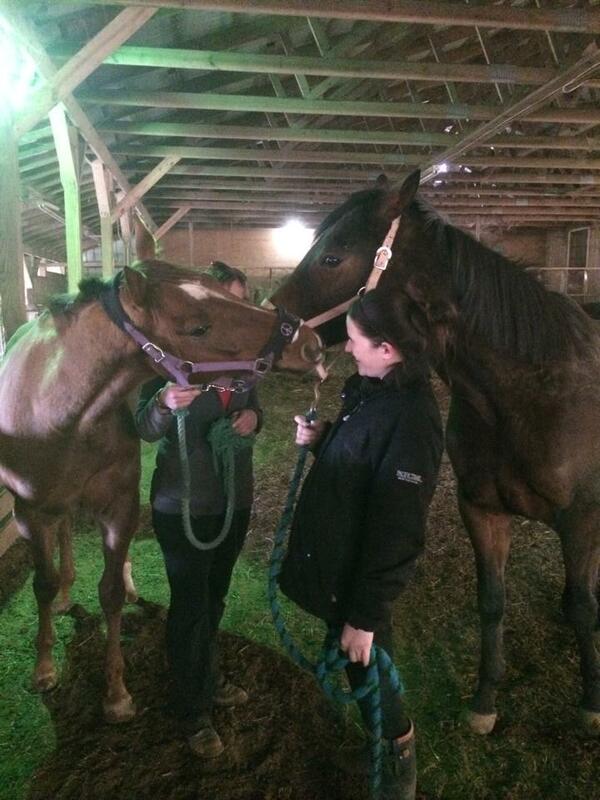 After over a year in our care, Leon was placed into an adoptive home on January 4, 2015 – our first adoption for 2015! 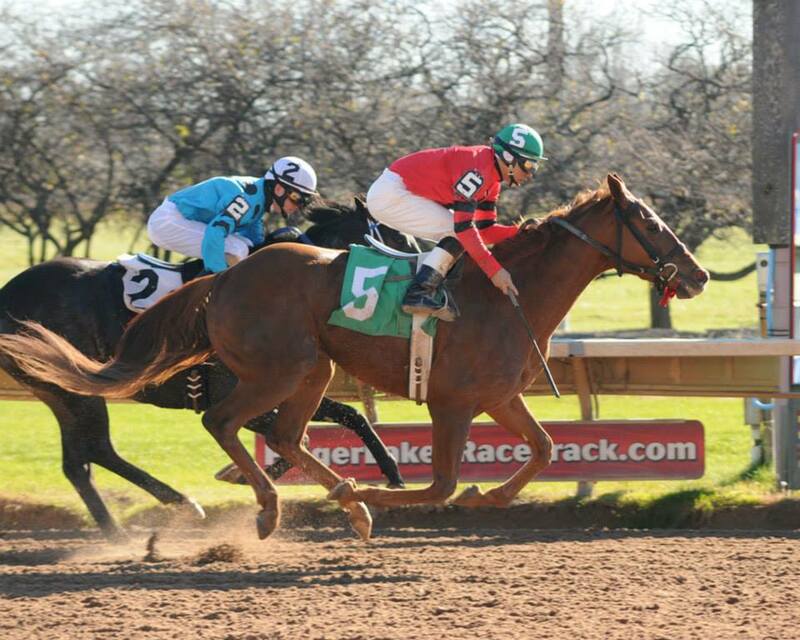 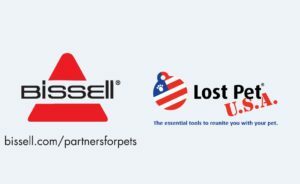 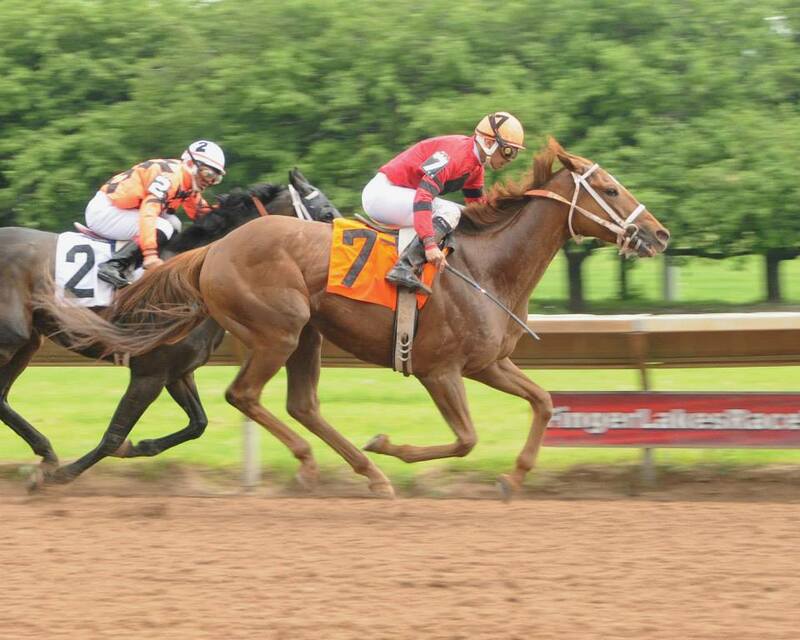 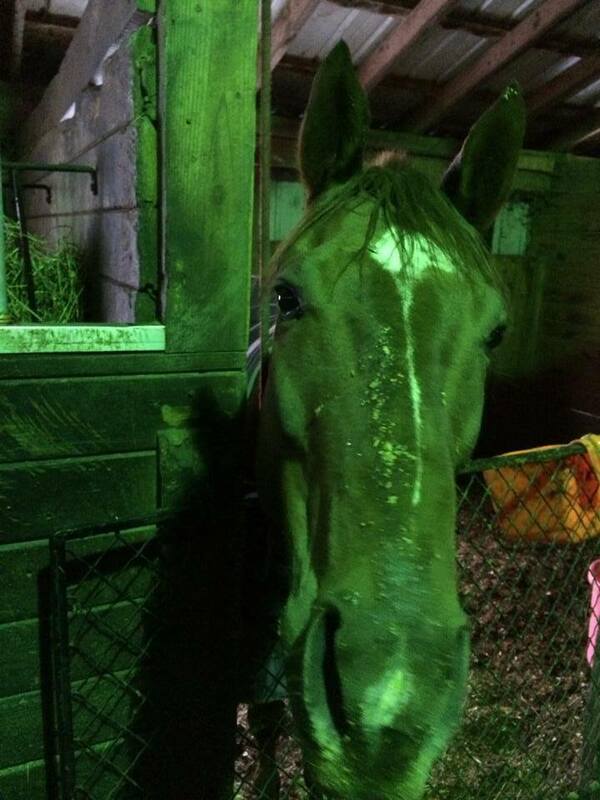 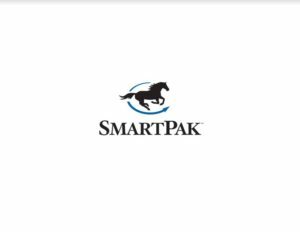 Tracks Attended: Finger Lakes, Aqueduct, Presque Isle Downs, Saratoga and Belmont Park. 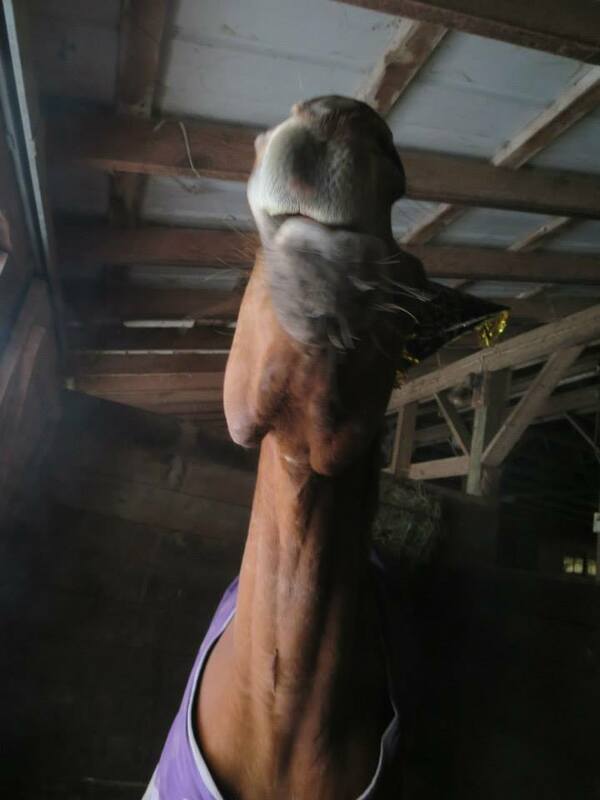 DOB/Age: 02/04/07, 8 years old.